The title of this paper may appear bold, but it is very serious and every word in it is meant to mean what it says. In this paper, I will explain my findings with linguistic evidences from the names of certain South American Natives whose identities have been completely manipulated by the Christian missionaries after the Aryanized and Christianized Spanish and Portuguese CONQUESTADORES conquered Central and South America. The ancient Turanian Tur/Turk/Oguz peoples, so-called “Phoenicians”, not only went to South America, but also settled there for thousands of years until present times, much earlier than the voyage of Christopher Columbus. Most likely, the Christianized world of Europe not only knew that most of the natives of South, Central and North America were ancient Turanian peoples, but they also knew how and when to go there, how to be victorious over them, and how to alter their identies, languages and Sun God religion - and thus make them totally unrecognizable to present day world peoples. Before they took their journey to the American continents, they had already done the same to the native Turanians of Europe – by “Romanizing” and Christianizing them – thereby obliterating a very important ancient Turanian people and their world-wide civilization from the eyes of the world. Before I discuss the names of the South American Natives as they are given to them by the Europeans, I want to point out once more that the so-called “Indo-European” languages are not authentic natural languages, but rather are languages that have been fabricated from the Turkish language - which was a world wide spoken language in ancient times. To show the validity of this statement, let me start with the word CONQUESTADORES and some of its synonyms in English. The English term CONQUISTADOR has the meanings of defeater, hero, subjugator, vanquisher, victor, winner. In this context, when the term CONQUESTADORES is deciphered as “QOSONTU-ASCERDE”, it reveals the Turkish saying “KAZANDU ASKERDİ” (KAZANAN ASKERDİ) which means “it is the winning soldier, it is the soldier that wins”. That is what happened to the Christian soldiers in conquering the South American natives. Turkish word KAZANMAK means “to win, to become victorious”, KAZAN means “win, become victorious”, KAZANDU means “won, became victorious”, ASKER means “soldier”, ASKERDİ means “he is soldier”. This decipherment reveals that this Spanish word CONQUESTADORES has been made up from a Turkish expression meaning “it is the winning soldier, it is the soldier that wins”. In other words, the name CONQUESTADORES is not an authentic Aryan word. The term CONQUESTADORES (conquistador) also means HERO. But the word HERO is an altered form of the Turkish saying “ER O” which means “he is soldier, he is warrior, he is hero, he is man, he is husband”. Again this is not due to a coincidence but rather manipulation of a Turkish expression used to make the word HERO. Turkish word ER means “man, soldier, hero; husband” and O means “he/she/it; that”. The English term CONQUISTADOR also has the meaning of SUBJUGATOR. In this context, the word SUBJUGATOR has two possible Turkish sayings embedded in it. a) When the word SUBJUGATOR is deciphered as “BGATOR-SUJU”, it reveals the Turkish saying “BAGATUR SÜCÜ” (BAHADIR ASKER, BAHADIR ATCI ASKER) which means “brave, gallant, valiant, champion, hero soldier”. This decipherment in Turkish identifies the word SUBJUGATOR as being the altered, restructured and Aryanized form of Turkish saying “BAGATUR SÜCÜ”. b) Additionally, when the word SUBJUGATOR is deciphered as “BASTURUJO-G”, it reveals the Turkish saying “BASTURUCU” (BASTIRICI) which means “he who suppresses the opposition, he who wins the fight, hero, champion”. Thus, the term SUBJUGATOR also has the Turkish saying BASTURUCU embedded in it. Again these correspondences are not due to coincidence but rather are due to the manipulation of Turkish sayings. Turkish word BAHADIR (BAGATUR) means “brave, gallant, valiant, champion, hero” and ASKER means “soldier”, BASTIRMAK means “to subdue an opposing force, “to overcome a rebellion”, and BASTIRICI means a “warrior force that overcomes its opponents”. The word VANQUISHER is also a synonym to the word CONQUISTADOR. Thus, in this context, when the word VANQUISHER is deciphered as “HUN-ASQERI-V”, it reveals the Turkish saying “HUN ASKERİ O” which means “the Hun Soldier, the soldier of Turanian Tur/Turk/Oguz peoples”. Thus, even the term VANQUISHER has been fabricated from the Turkish text “HUN ASKERİ O”. The English word WIN is made up from the Turkish word YEN meaning “win”. The English letter W is a replacement for letters Y and U. In other words, W is a bogus letter that is designed to replace the following letter combinations: UU, VV, YY, UV, UY, VY and sometimes just a U or a V or a Y. We must note that the English version of letter W is voiced as “double U” while the French version is voiced as “double V”. This alone shows that W is a bogus multifunctional symbol. Similarly, the word WINNER is made up from the Turkish saying “YENEN ER” which means “soldier that wins, soldier who beats his opponent; man who wins”. Turkish word ER means “man, soldier, hero; husband”. The purpose of this exercise was to show that words of “Indo-European” languages have been manufactured from Turkish by altering and restructuring Turkish words and sayings defining a given concept. In view of this, I say that when the native peoples of Central and South America were conquered by European soldiers and religious missionaries, the conquerors also carried out the same kind of alteration, restructuring and Aryanizing of the names of the native peoples, their languages, their religion and everything else that would remind them of their ancient Turanian identity. And presently, the altered and restructured picture of the natives is what has been presented to the world, and thus, a lot of lies have been said and the world public has been conned! In this light, I will examine some of the names that are said to be relevant to the native peoples. With this introduction, I showed that “Aryan words” are words manufactured from the Turkish language - by altering and restructuring Turkish words and sayings. The same linguistic activity was also done in eliminating the original identity of the native peoples of the American continents. With this view, now let us understand some of these terms that have been used to identify the natives of Chili and Argentina. Polat Kaya: In the name MAPUCHE, the part “MAPU” is the cut off front-end of the names MAPUDUNGUN, MAPUZUGUN, MAPUDUNGU. And the suffıx CHE is the Turkish language suffix ÇE (CHE) that makes the word “MAPU” name of a “language” as it is in the name “MAPUCHE” and TÜRKÇE. Thus, the name MAPUCHE is an artificially made up name used to alienate the names of the Turkish speaking Turanian natives of the South America. The description in above reference means that the original MAPUDUNGUN languages have been totally Aryanized and Christianized by the Jesuit priests by way of altering and restructuring the words and sayings of the native languages. Thus, any reminder of the Ancient Turanian Languages has been intentionally removed or destroyed by the Christian establishment. For example, the name MAPUDUNGUN is originally a Turkish saying that has been anagrammatized into an Aryanized form. This we see when the word MAPUDUNGUN is deciphered as “GUN-PUDUNAM”. With this decipherment, the name MAPUDUNGUN reveals the Turkish saying “GÜN BUDUN’AM” (GÜN ULUS’UM) which means “I am the Sun Nation, I am the Sun People, I am the Tur/Turk/Oguz people”. The Turkish word GÜN means “sun”, BUDUN (ULUS) means “nation, people”, and in this case the Turkish suffix -AM, -UM or -IM is the verbal form of “I am”, which makes the Turkish saying BUDUNAM to mean “I am nation, I am people.” We see that this Turkish two-word saying “GÜN BUDUNAM” (GÜN ULUS’UM) has been totally wiped away by replacing it with the single Aryanized word MAPUDUNGUN. Since, it is said that the MAPUCHE language, and the term MAPUDUNGUN both means “language”, then, the term MAPUDUNGUN, that is, the “GÜN BUDUN’AM” also means “I am SUN Language” (I am Turkish). The etymologic explanation saying that MAPUCHE and MAPUDUNGUN are (from mapu 'earth, land' and dungun 'speak, speech') is unconvincing. It is selling a lie as a truth! With such intense obliteration of the Native languages of South America, any remnant of the ancient Turkish language was supressed or erased. With this explanation, we find that the so-called MAPUCHE people were actually the SUN NATION (the SUN PEOPLE) and their language so-called MAPUDUNGUN was none other than the TURKISH language, that is, the “GÜNEŞ DİLİ”. After all, before the arrival of the Roman and Christian Europeans, the native peoples of South America called themselves as “the Children of the Sun”. The Natives, during the time of the Inca Empire, ruled an empire that was called: “The Inca Empire: Children of the Sun”. The Inca Empire stretched 2,500 miles from Quito, Ecuador, to beyond Santiago, Chile. ( http://www.ushistory.org/civ/11c.asp. AUTHOR: ushistory.org; TITLE OF PAGE: The Inca Empire: Children of the Sun; TITLE OF PROGRAM: Ancient Civilizations Online Textbook. Here is a quotation from the above online link: “Spanish leader Francisco Pizarro captured and ransomed the last Inca emperor, Atahuallpa, for 24 tons of gold worth $267 million today. After receiving the ransom from the Inca people, the conquistadors strangled Atahuallpa anyway.)”. When we study the native peoples of Chili and Argentina, we find striking similarities linguistically and culturally between the native people so-called “Mapuche” and the Yakut (Sakha) Turks of Asia. The similarities are so strong that they cannot be ignored. The MAPUCHE natives live in Chili and Argentina in the area called PATAGONIA. Patagonia is a region located at the southern end of South America, shared by Argentina and Chile. The region comprises the most southern section of the Andes Mountains as well as the deserts, steppes and grasslands east of the southern portion of the Andes. http://en.wikipedia.org/wiki/Patagonia . Despite the given etymological sources for the name PATAGONIA, it contains many Turkish sayings in it, one of which is the saying of “GÜN TAPI ÖYİ” (GÜN TAPI EVİ) meaning “the home of sun worshipping” people indicating that the native population were related to the sun-worshipping people of ancient Turanians. Additionally, when the name PATAGONIA is deciphered letter-by-letter as “PAN-IAGOTA”, it reveals its source as the altered form of the Turkish saying “BEN YAKUTiA” (BEN YAKUT ÖYÜ) meaning “I am the Home of the Yakuts (Turks)”. These findings cannot be due to coincidence, but rather is due to manipulating a Turkish source text to come up with the name PATAGONIA (we must note that when altering and manipulating a Turkish saying into an Aryanized form, the original Turkish text is preserved – therefore it can be recovered). This is a striking revelation of the hidden ethnic kinship between the YAKUT Turks of Asia and the so-called MAPUCHE people of Patagonia, in South America. Turkish word GÜN means “sun”, TAPI means “worshipping”, ÖYİ (EVİ) means “the home, the house”, BEN means “I, me, myself”, YAKUTİA means “the home of Yakuts, the country of Yakuts”. The native Patagonians of South America met all of these definitions before they were Christianized. Evidently, while the name PATAGONIA was fabricated by Aryan linguists, the linguistic source text they chose for the name PATAGONIA was a Turkish expression that was descriptive of the name of YAKUT TURKS. Christian missionaries knew how to manipulate words and sayings from the Turkish language into some other alienated forms, as they had done so in Aryanizing and Christianizing the native Turanians of Europe and other places, thus changing the identity of the natives with Aryanized names. This way, they had established a very secretive and well camouflaged way of destroying the civilization of other peoples and building something new on top of the ruins; thus wiping the old civilization away from view and from history – while at the same time owning the civilization of the destroyed peoples. It is important to note the saying that “Central to Mapuche belief is the role of the "Machi" (Shaman)”. In this context, even the name MAPUCHE, when deciphered as “CAM-PEUH”, reveals the Turkish saying “KAM BEYİ” meaning “the shaman lord”. The Turkish word KAM means “shaman” and BEY means “lord, ruler, the head-man”. Furthermore, the name MACHI is a Turkish word that means “moon believer”. In Turkish MA (MAH) means “moon” and “CHI” is the Turkish suffix “ÇI” that makes an adjective out of a noun. The shape changing moon is a KAM itself or metaphorically is a “sorcerer”. Additionally, there is the supposedly Aryan name MAGI meaning a “sorcerer” – but this is none other than the YAKUT (MAPUCHE) MACHI, that is, a “shaman”. Furthermore, it is said that the MAPUCHE language MAPUDUNGUN is also spelled as MAPUZUGUN. In this context, when the name MAPUZUGUN is deciphered as “GUNZU-PAUM”, it reveals its source as the Turkish saying “GÜNCÜ BEYÜM” which means “I am sun believing lord” . This again relates the MAPUCHE people of South America to the ancient Turanian sun-believing Tur/Turk/Oguz peoples, particularly the YAKUT TURKS. The Turanian YAKUTS, that is, the “SAKA TURKS” (or SAKHA TURKS) were one of the ancient Turanian Tur/Turk/Oguz people who had the shaman culture of Turanians of Central Asia. They still do. So, these decipherments again suggest that the Mapuche natives of South America were related to ancient Turanians who migrated to South America from Asia long ago. A Yakut Shaman drum with symbols. Shaman of Olkhon, Lake Baikal in eastern Siberia. Above I noted that the name PATAGONIA had the Turkish saying “BEN YAKUTİA” (> PAN-IAGOTiA) meaning “I am home of Yakuts” embedded in it. a) The name PATAGONIAN, when deciphered as “PAN-IAGOTAN”, reveals the hidden Turkish saying “BEN YAKUTAN” (BEN YAKUTLAR) meaning “I am Yakuts” (I am Yakut people) which refers to the Turkish name of YAKUT TURKS living in Eastern Siberian lands up to the Bering Straight. b) The name PATAGONIAN, when deciphered as “PN-GOI-ATA-AN”, reveals the hidden Turkish saying “BEN GÖY ATA HAN” meaning “I am the Father Lord of Sky”, that is, “I am the Sky God, I am the GÖKHAN, I am the GÖK TANRI”. This identifies the native Yakut people of ancient Patagonia as Sky-God believers. The ancient rulers deified themselves as Sky-Deities – a practice coming from the religious beliefs of ancient TURANIAN Tur/Turk/Oguz peoples. c) The name PATAGONIAN, when deciphered as “PAN-GAI-OT-AN”, reveals the hidden Turkish saying “BEN GÖY OD HAN” meaning “I am the Sky Fire Lord”, that is, “I am the Sun God, I am the GÜNHAN”. This refers to the Sun-God beliefs of the native Yakuts in ancient Patagonia. Sun God (GÜN TANRI) believing was the religion of the ancient TURANIAN Tur/Turk/Oguz peoples. d) The name PATAGONIAN, when deciphered as “PAN-GOT-AI-AN”, reveals the hidden Turkish saying “BEN KUT AY AN” meaning “I am the holy moon of sky”, that is, “I am the holy AYHAN”. This Turkish saying identifies that the people of the Yakuts in ancient Patagonia were also Moon-God believers. Moon-God (AY TANRI or AYHAN) believing was also in the religion of ancient TURANIAN Tur/Turk/Oguz peoples. e) Finally, when the name PATAGONIAN is deciphered as “PAN-OGIANTA”, it reveals the Turkish saying “BEN OKUyANDI” meaning “I am one who knows how to read and write”, that is, “I am the learned man”. We must note here that the name GÜNHAN (Sun Lord), AYHAN (Moon lord), GÖKHAN (Sky Lord), YILDIZHAN (Star Lord), DAĞHAN (Mountain Lord) and DENİZHAN (Sea Lord) were the names of the six sons of the ancient Turanian Sky-God and the ancestral god named OĞUZHAN (OĞUZ KAĞAN) of Tur/Turk/Oguz peoples. “Human habitation of the region dates back thousands of years, with some early archaeological findings in the area dated to at least the 13th millennium BC, although later dates of around the 10th millennium BC are more securely recognized. There is evidence of human activity at Monte Verde in Llanquihue Province, Chile dated to around 12,500 BC. The glacial period ice-fields and subsequent large meltwater streams would have made settlement difficult at that time. Polat Kaya: The first reference provides the information that explains the reason why the Mapuche people of South America and the Yakut Turks (Saka Turks) look so much alike. They are both Asiatic people and both are from the landmass at the northeast corner of Asia, that is, the Siberian part of the land mass so-called Beringia. This land has been the home of the Yakut Turks, where the Bering Sea and the Bering Straight are. It is highly likely that the YAKUT TURKS (SAKHA TURKS) were among the very early immigrants from Asia to South America. Striking similarities in culture and people are seen between the YAKUT TURKS of Siberia and the native MAPUCHE people of Patagonia. Turkish word SAKA, the name of the SAKA TURKS is also the name of Yakut Turks. SAKA Turks whose name has been Aryanized as SCYTHIANS, were also the Turkish SUCU Turks meaning “the Sea-going people”. Turkish word SÜCÜ also means “soldierman”. The sea going people PELASGIANS, named PELASGOI by ancient Greeks, were also the SAKA Turks. The name PELASGIANS is the altered form of the Turkish saying BALIKCIAN (BALIKCILAR) meaning the “fishermen”. Curiously, while it is not known knowledge, I find that when the so-called Greek formulated name “SCYTHIANS” is deciphered letter-by-letter as “TANISCH-SY”, it reveals the Turkish saying “DENİZCİ SÜ” (DENİZCİ ASKER, DENİZ ASKERİ) meaning “the soldiers of the Sea”. Indeed, they were the Sea Soldiers or by another name “the Sea People”. Similarly, so were the so-called “PHOENICIANS”, that is, “THE GÜNHAN LORDS” of ancient Turanian Tur/Turk/Oğuz people. The so-called “PELASGIANS” were none other than the Saka Turks contrary to misconceptions and disinformation spread about them. Turkish word DENİZ (TENİZ/TENGİZ) means “sea”, DENİZCİ means “sea-going people” and SÜ means “soldier”, SU means “water”. In the above Wikipedia reference, it is enlightening to find that the human settling of Patagonia goes way back to 12,000 B. C. While this is very important information to note, we also now know that it reminds us of the GÖBEKLİ TEPE civilization found in Turkey that takes the ancient Turanians to some 13,000 plus years in the past. These are the remnants of the same ancient Turanian civilization. As this reference states, before the advent (coming) of the Greek language, there was a well established civilization in the Mediterranean geography. And that civilization was the ancient Turanian civilization. The ancient world spoke the Turkish language and its dialects. The Greek language has been made up by altering and restructuring the words and sayings of the ancient Turanian language of Turkish. The Greek word PELASGOI, deciphered letter-by-letter as “PALEGSI-O”, reveals that the name PELASGOI has been fabricated from the Turkish saying “BALIKCI O” meaning “he is fisherman”. So, the people whom Greeks named as “PELASGOI” were actually the ancient Turanian SAKA Turks who had developed a civilization such that they could build castles at the top of mountains or on hard to reach places, and also they could go to far away places on the seas to catch fish, to trade with other peoples and also to gain knowledge and experience. Polat Kaya: In the South American map below, the names Mapuche and Patagonia are marked in Argentina. The name ARGENTINA comes from the ancient Aryanızed name of the King ARGANTHONIUS who were the king of the ancient Turanian TARTESSİANS in ancient Tartessos (in Andalusia) at the İberian Peninsula of present day Spain. The ancient TARTESSIANS ruling the ancient TARTESSUS of Iberia were Turanian Tur/Turk/Oguz peoples and they were also sea going peoples. The name TARTESSIANS, deciphered as "TAR-TENISSSA", reveals the Turkish saying “TUR DENİZCİ” (TURK DENİZCİ) meaning “the Tur/Turk Sea People.” Arganthonious was a king of Tartessians (i.e., the TATAR TURKS) who ruled Tartessia for 80 years. He was a very well known wealthy ruler with rich silver mines in his country, many herds of cattle and sheep, and a sea going sea-merchant establishment. Thus, although his name and his country name have been Romanized, Latinized and Christianized, they still retain their ancient Turanian identities but in a hidden fashion. Arganthonios was a king of ancient Tartessos (in Andalusia, southern Spain). Presently, many of MAPUCHE natives live in CHILE and Argentinia. The above title may be startling to some readers but it is important that I bring this finding to daylight, because the so-called PHOENICIANS - that is, the GÜNHAN LORDS, are not the extinct people that we have been led to believe. My linguistic analysis of the names of the native people in Patagonia, South America give us a totally different picture which I discuss below. The Spanish Conquestadores and the Christian missionaries, before they went to South America, probably knew that their own ancestors were the Turanian Tur/Turk/Oguz peoples, that is, the natives of the Iberian Peninsula. After all, the so-called Phoenicians and Carthaginians, that is, the Günhan Turkmans, had been in Iberia for a very long time before they were Aryanized, Christianized and lost their Turanian identity in Spain. The ancient Iberian peninsula was totally the land of Turanians and they spoke Turkish until the Romans and the Christian missionaries entered the Iberian Peninsula. After hundreds of years of fighting back and resisting the Roman and the Christian forces, they were eventually divided, conquered, Aryanized and Christianized. In the Punic Wars, when the Carthaginians lost the fight, the city of Carthage was wiped out by the Romans. Most Carthaginians were killed and/or subjugated by the Romans to slavery. They were definitely Aryanized and Christianized. In Spain and also everywhere in Europe, wherever Christianity had taken over, a new generation of ancient Turanian Tur/Turk/Oguz peoples were raised with a totally new Aryan and Christian identity. These were the soldiers that did not know that they were the grandchildren of the ancient Turanians, but were now working for a Christian and Aryan ruling class who sent them to the Americas to conquer the land and the native peoples of the Americas for the Christian church and the rich kings of Europe. The names PATAGONIA, PATAGONIAN or PATAGONIANS have Turkish sayings that are embedded in them which explain the “PHOENICIAN” (i.e., the GUNHAN TURKS) identity that has been covered up and hidden in these names. a) The name PATAGONIA is said to “come from the word PATAGÓN used by Magellan in 1520 to describe the native people that his expedition thought to be giants.” This PATAGÓN “name” has been coined by the incoming Europeans. This “etymology” given by the Europeans and attributed to Magellan, which likens the natives to giants, is unconvincing. The Christian missionaries, who were master anagrammatizers of the Turkish language, knew that the name they were concocting (PATAGONIA) would secretly describe the Phoenicians and their Turanian identity, but others would not know it – because the composed word PATAGONIA was a distortion of the original Turkish source text – made to look like a Latin term. The Christian missionaries also knew that they could concoct any “etymology” for the word PATAGONIA that they wished – and it would not be questioned. So they decided to give an etymology giving the false impression that the native peoples they met in South America were “giant” sized people. Of course they were not giants at all. This was more disinformation about the natives which disguised the ancient Turanian identity of the native peoples of Patagonia, South America. Yet, the name PATAGONIAN, when deciphered as “PONIG-ATAAN”, reveals the hidden Turkish saying “PUNIC ATAAN” meaning “the Punic Fathers” which refers to the PHOENICIAN peoples. The Latin name PUNIC was the name of Phoenicians and Carthaginians; more clearly, the GÜNHAN TURKMANS. This clearly identifies the native PATAGONIANS of South America with the GÜNHAN TURKS of the ancient Turanian Tur/Turks/Oguz peoples. At this point, we must also note that the Latin name PUNIC (which also has the Latin form of PUNICUS, or POENICUS, meaning "CARTHAGINIAN", with reference to the Carthaginians' Phoenician ancestry) when deciphered as “CUN-PI”, is the altered form of the Turkish saying “GÜN BEYİ” meaning “The Sun Lord” which again refers to the ancient TURANIAN Tur/Turk/Oguz peoples. Even the terms POENICUS is the altered and restructured form of the Turkish saying “GÜNEŞ BEYÜ” meaning “The Sun Lord”. b) The name PATAGONIAN, when deciphered as “GANAAN-PAITO”, reveals the hidden Turkish saying “KANAAN BEYDÜ” meaning “he is Lord from Canaan”. This again identifies the native Patagonians with the people from Canaan (that is, the original home of Phoenicians/Carthaginians) and of course, with the GÜNHAN TURKMANS. The term Canaan is the Semitized form of the term GÜNHAN. Canaan is also a distortion of the Turkish word Kanun meaning “law”. c) The name PATAGONIAN, when deciphered as “GONAN-PAITA”, reveals the hidden Turkish saying “GÜNHAN BEYİDİ” meaning “he is the Sun-God Lord”. This again refers to the native Patagonians as being “the GÜNHAN TURKMANS of the ancient TURANIAN Tur/Turk/Oguz peoples. Surely the Patagonians were the so-called Phoenician, Punic and Carthaginian peoples of the old world. d) The name PATAGONIAN, when deciphered as “GONAI-TAPAN”, reveals the Turkish saying “GÜNAYa TAPAN” meaning “the worshippers of the sun and moon” which was the religious belief of the ancient TURANIAN Tur/Turk/Oguz peoples. e) When the name PATAGONIAN is deciphered as “PAN-OGIANTA”, it reveals the Turkish saying “BEN OKUYANDI” meaning “I am one who knows how to read and write”, that is, “I am the learned man”. The Phoenicians are known for their excelled learning and for giving the world the ALPHABET, that is, the ABECEDERA, and in the Alphabet, the name of the first letter A was named with the Turkish name ALEV (Aleph, Elipf) meaning “flame, torch, fire”, and also with the so-called name OX which is the shortened form of the Turkish name OĞUZ, O KÖZ, O GÖZ, OKUZ and ÖKÜZ which are all apellations in ancient Turkish used for the Sun (Sun-God). f) The name PATAGONIANS, when deciphered as “TANISGO-APAN”, reveals the Turkish saying “DANİZGÜ APAaN” (DENİZCİ APALAR) meaning “the sea-going-fathers”. This also undeniably identifies that the ancient so-called PHOENICIANS /CARTHAGINIANS, that is, the ancient Turanian GÜNHAN TURKMANS were SEA GOING PEOPLES and they had gone all over the world, as the famed Turkish PİRİ REİS MAP is a testament to that fact. These revelations coming from the name PATAGONIANS alone are amazing findings as if this one word alone is a history book written in Turkish regarding the past events of ancient history. All these findings are due to the natural linguistic capabilities of the monosyllabic and agglutinative progenitor nature of the Turkish language. With that capability, we now see that the ancient Turanian civilization has not been lost altogether into the darkness of the past, but rather has been deliberately transformed into a ‘black’ system that swallows people and hides their identity, like the ancient Greek mythological character CRONUS who swallowed his children in Greek mythology. The color BLACK swallows everything into invisibility until SUNRISE takes place and things become visible and recognizable again. By intentionally alienating people against their original identity, an act of cultural genocide has been committed by the black magicians of the past. All of these decipherments in Turkish identify the native PATAGONIANS of South America being the ancient TURANIAN Tur/Turk/Oguz peoples, that is, the so-called PHOENICIANS / CARTHAGINIANS. Contrary to all kinds of lies and sophistry that we have been fed so far about the ancient Phoenicians and Carthaginians being extinct people, we are now learning that they are well and alive in South America as the natives of PATAGONIA who are now Aryanized and Christianized. It is no wonder that when some artifacts are found in South America and claimed to belong to the Phoenicians, there is much shouting and opposition trying to discredit the claim. It’s almost as if they are against finding any remnants or descendants of the ancient Phoenicians / Carthaginians in the American continents. Yet we have now been able to trace their presence deep into the forrested lands of South America - as the natives of Chili, Argentina, and the Inca Empire where they were once known as the Children of the Sun, that is, the ancient Turanian GÜNHAN LORDS. “When the Spanish arrived in Chile, they found four groups of MAPUCHE speakers in the region of ARAUCANÍA, from which the Spanish called them ARAUCANOS: the PICUNCHE (from pikum 'north' and che 'people'), the HUILLICHE (from willi 'south'), the PEHUENCHE (from Pehuen 'Araucaria araucana (a tree)'), and the MOLUCHE (from molu 'west'). The PICUNCHE were conquered quite rapidly by the Spanish, whereas the Huilliche were not assimilated until the 18th century. MAPUDUNGUN was the only language spoken in central Chile. The socio-linguistic situation of the MAPUCHE has changed rapidly. Now the majority of MAPUDUNGUN speakers are bilingual or monolingual in Spanish. The degree of bilingualism depends on the community, participation in Chilean society, and the individual's choice towards the traditional or modern/urban way of life”. Polat Kaya: In this reference, we note that the names of Mapuche speakers are given as PICUNCHE, PEHUENCHE, MOLUCHE and HUILLICHE. Even at link http://en.wikipedia.org/wiki/Mapuche_language, we find the names of the Mapuche groups given as MAPUCHE, TEHUELCHE, PUELCHE, PEHUENCHE, MOLUCHE, NGULUCHE, HUILLICHE and VELICHE. We see that the ending suffix -CHE is common to all of these names. This is important to note, because the suffix -CHE is theTurkish suffıx –ÇE that ends words which express language names. For example, the Turkish language itself is expressed with the word “TURKCHE” (TÜRKÇE). This commonality of the suffix CHE between supposedly unrelated Mapuche languages and the Turkish language provides a linguistic, as well as an ethnic, kinship link between the Mapuche speaking Natives and the ancient Turanian Tur/Turk/Oguz peoples. In addition to this linguistic connection, there are other important hidden aspects of these Mapuche “tribal” names embedded in them. Although, alteration and distortion confuses the original text and makes them unrecognizable as Turkish, the original linguistic textual information is still left embedded in the artificially fabricated words. When the concocted words or sayings are deciphered properly and knowingly, the original Turkish texts come back alive and reveal their ancient Turanian identities. With this insight and also with the knowledge of knowing the power of the monosyllabic Turkish language, we can examine some of the other names. THE PİCUNCHE (a mapudungun word meaning "North People"), also referred to as picones by the Spanish, were a mapudungun speaking Chilean people living to the north of the Mapuches or Araucanians (a name given to those Mapuche living between the Itata and Toltén Rivers) and south of the Choapa River and the Diaguitas. Until the Conquest of Chile the Itata was the natural limit between the Mapuche, located to the south, and Picunche, to the north. During the Inca attempt to conquer Chile the southern Picunche peoples that successfully resisted them were later known as the Promaucaes. The Picunche living north of the Promaucaes were called Quillotanes (those living in the Aconcagua River valley north to the Choapa) and Mapochoes (those living in the Maipo River basin) by the Spanish, and were part of the Inca Empire at the time when the first Spaniards arrived in Chile. Among the peoples the Spanish called the Promaucaes, the people of the Rapel River valley were particularly called by this name by the Spanish. Those of the Mataquito River valley were called the Cures. The people in the Maule River valley and to the south were distinguished as Maules and those to the south of the Maules and north of the Itata were known as Cauqui by the Inca and Cauquenes by the Spanish and that gave their name to Cauquenes River. Polat Kaya: In view of this information, the native name PICUNCHE, in one decipherment, has the form “PUNICCHE” which means “in the language of Carthaginians / Phoenicians”. So this decipherment identifies this so-called “PICUNCHE” people with the so-called “Phoenician”, that is, Günhan Turks. This is explained clearly below. Addionally, when the name “PUNICCHE” is deciphered letter-by-letter as “CUN-PEICH”, it reveals its source as the altered form of the Turkish saying “GÜN BEYCE” meaning “in the language of Sun Lords”, that is, “in the language of Günhan Lords”. This is another way of saying that they were ancient Turanian sun worshipping peoples and their language was “GÜN BEYCE” in Turkish - meaning “in Sun Language” which is the TURKISH LANGUAGE! It is important to note that we had found the same Latin word PUNIC in analyzing the name PATAGONIA in the context of Phoenicians under item 4 above. Polat Kaya: From this reference, even the Latin word POENICUS, meaning "CARTHAGINIAN", when deciphered as “CUNES-PI-O”, reveals the source of the term POENICUS as being the altered form of the Turkish saying “GÜNEŞ BEYİ O” meaning “He is the Sun Lord”. Thus, the name PICUNCHE of the Mapuche natives of South America was none other than the altered and disguised form of the Punic Carthaginians (Phoenicians), that is, the ancient Turanian Tur/Turk/Oguz peoples. 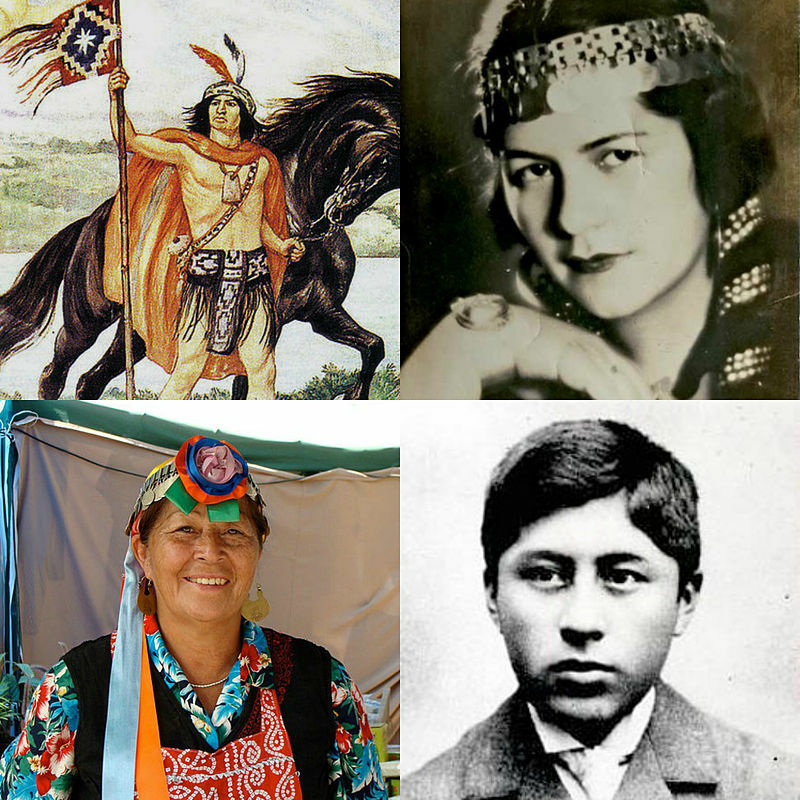 Explaining the etymology of the name PICUNCHE as “people of the north” is a concoction which does not explain the identity of the people, but rather supposedly states from what direction they came from – with respect to the other Mapuche peoples. It is only a made up explanation trying to cover up and hide the the real “Phoenician” identity of these native peoples. Curiously, the PICUNCHE people have also been called PROMAUCAES by the Spanish. The name PROMAUCAES appears very much like a Romanized name. The term Mapuche included in their group Mapuche people whom they knew as PİCUNCHE who successfully resisted the INCA, but somehow they were later known as Promaucaes. Polat Kaya: When the name PROMAUCAES is deciphered as “PER-SACA-OUM”, it reveals the Turkish saying “BİR SAKA ÖYÜM” meaning “I am one Saka home” which also means “I am one Saka Turk; I am one Yakut Turk” and further “I am one sea going people”. Mapuche natives were also sea people. From this it seems that some of the “Yakut Saka Turks” not only walked the distance between Beringia and South America but also some of them came to South America by way of sea. These PICUNCHE natives were also called by the name QUİLLOTANE. When the name QUILLOTANE is deciphered as “AL-QUN-ILETO”, we see the altered form of the Turkish saying “AL-GÜN-İLİDÜ” meaning “it is the red sun country, it is the red sun land; it is the land of the Red-Sun worshipping people, it is the land of the Red-Sun worshipping Turanian Tur/Turk/Oguz man”. Turkish word AL means “red”, GÜN (GÜNEŞ) means “sun”, İL means “country, land”, and İLDÜ (İLDİ) means “it is the land, it is the country”. Another tribal name was the name PEHUENCHE. When the name PEHUENCHE is deciphered letter-by-letter as “PHENECHE-U”, it reveals the altered form of the Turkish saying “FENİKE O” meaning “It is Phoenicia” or “he is Phoenician”. In other words, the so-called PEHUENCHE natives of South America were actually the Phoenicians, that is, the Günhan Turkmans who had gone into South America and settled there long long ago. But the name was so altered by the invading forces that it was not easy to recognize their Phoenician (Gunhan) identity any more. This explanation of the name PEHUENCHE also verifies my findings under the name PICUNCHE above. If the so-called “PHOENİCİANS” or “PUNICUS” peoples were truely “Semitic” people, their names, language and identities would not have been altered, confused or hidden from view by the Christian missionaries. Since these native Americans were ancient Turanian Tur/Turk/Oguz peoples, they had been marked for destruction and obliteration! Here I also note that the name MOLUCHE is very much reminiscent of the Phoenician and Carthaginian deity so-called MOLUCH. Supposedly, the deity Moloch is said to be also known as Molech, Molekh, Molok, Molek, Melek, Molock, Moloc, Melech, Milcom, or Molcom (representing Semitic מלך m-l-k, a Semitic root meaning "king") is the name of an ancient Ammonite god. Moloch worship was practiced by the Canaanites, Phoenicians, and related cultures in North Africa and the Levant (see detailed presentation of sources below). https://en.wikipedia.org/wiki/Moloch. Ill willed sources keep repeating how the Canaanites (Phoenicians) sacrificed their children to this deity MOLOCHE (MOLOC) by throwing their young children into burning ovens and watching them die in that hellish fire. This is nothing but slander and vilification of the Phoenicians and their culture - in the worst form. It is not believable that Canaanites or Phoenicians (i.e., the Günhan Turkmans) would do such evil things as throwing their children into fire as a sacrifice to this so-called god MOLOCH. What is believable though is that the Semites would knowingly put down the Phoenicians / Canaanites because they knew that the Phoenicians were really the Günhan Turkmans and the God MOLOCH was not an evil god for whom children were sacrified but rather was a school system where children were educated from young age onwards. The Canaanite deity named MOLOCH by Semites actually is not what they would like us to believe. When the Semitized name MOLOCH is deciphered as “OCOLHM” (OKOLHM), it reveals the altered and restructured form of the Turkish word “OKULUM” meaning “I am school” or “my school”. The Phoenicians, that is, the ancient Turanian GÜNHAN LORDS of the Tur/Turk/Oguz peoples, were learned and scientific people. They were known as the people who taught the alphabet to the world. For this reason, they took their children at a very young age to school. Any young child being taken to school for the first time and left there in that alien environment without their parents, is likely to be frightened and cry. This does not mean, however, that they were being thrown into a real fire. Schooling and educating young children is not easy. This kind of Phoenician school initiation of their young children has been distorted by some hostile minds into a story where the Phoenicians (and their kin) were throwing their young children into a fiery oven to please an evil deity called “MOLOCH”. Most likely the “deity “MOLOCH” was none other than the school principles and/or other teachers - who were regarded highly by the students (as well as the parents). But teachers and principles also frighten and punish children when necessary! We all know that schools are very different from the home environment and that teachers can be very strict. It is not hard to imagine children coming home crying and describing their teachers as monsters. That is why we find among the MAPUCHE people a group called MOLUCHE which means the “school language”. It is also evidence that the Phoenicians had not only gone to South America, but had also settled there together with other Turanian Tur/Turk/Oguz peoples – contrary to the bogus claim that Phoenicians and Carthaginians were extinct people. From all of these, we see that the invading Romanized and Christianized forces did everything in their power to alter the ancient Turanian identity of these native peoples of South America. In that Aryanization and Christianization campaign, the population of the native peoples diminished because of the artificially created difficult times. Polat Kaya: Up to this point, I have analyzed some of the tribal names of the South American natives. Let us now see some of the visual appearances of the South American natives. Mapuche Indians that Columbans work with in Chile. Polat Kaya: The design on the handbag of the Mapuche Lady at the center of the picture above is a remarkable duplicate of the Turkish peoples’ rug and carpet designs (hali ve kilim in Turkish). This cannot be regarded as due to coincidence. It is because of the common ancient kinship of the so-called “Mapuche people” and the Turkish people of Asia. Additionally, the neclace so-called “trapelacucha” worn on her chest is none other that the Yakut (Saka) Turks’ chest ornament that ancient Turanian Tur/Turk/Oguz people of Asia wore. This we also see worn by women of the Yakut (Saka) Turks in Asia as seen worn by Yakut girls shown below. 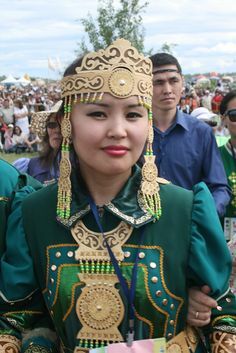 Yakut girl in Yakutsk who is wearıng an embellished double headed Eagle symbol with the Sun Disc on her chest. Polat Kaya: These Yakut Saka girls are also wearing a so-called “Mapuche” TRAPELAKUCHA. Interestingly, when the so-called Mapuche term TRAPELAKUCHA is deciphered letter-by-letter as “HALKA-CUPETAR”, it reveals the Turkish saying “HALKA KÜPEDİR” meaning “it is necklace and earrings”. Additionally, when the term TRAPELAKUCHA is deciphered letter-by-letter as “KALHA-CUPETAR”, it reveals the Turkish saying “KOLYA KÜPEDİR” meaning “it is necklace and earings”. Turkish words HALKA and KOLYA (KOLYE) means “necklace”, KÜPE means “earrings” and “KÜPEDİR” means “it is earrings”. Finding this exactly corresponding Turkish saying in the name of a jewelry of the South American natives cannot be due to coincidence. It is due to intentional manipulations and misrepresentation by unfriendly groups. With the revelations of these above decipherments into Turkish, we unquestionably find and declare that these so-called Mapuche people were actually ancient Turanian Tur/Turk/Oguz peoples who had gone to South America, not only much earlier than the arrival of Christopher Columbus, but also had settled there for thousands of years before any so-called “Indo-European” arrived there. But, the late-comer Christian Indo-Europeans and their religious missionaries not only looted the civilization of the native Turanian peoples, but also intentionally altered and distorted the native Turanian Turkish language into some fabricated languages that did not exist before; and thus, they destroyed the ancient Turanian civilization of the native South Americans, while Christianizing the Native South American youth and also conditioning them to lose their ancient Turanian identity. A trapelacucha (from Mapudungun TRAPELAKUCHA) is a pectoral ornament traditionally used by Mapuche women, usually made of silver. It consists of a main body from which a series of lower links, which support a lower body. The most famous design is definitely one which comprises a main body representing a double-headed eagle, three sets of semi triangular links and lower body with small pendants, which may be circles, crosses, human figures or others. "Coat of arms of La Araucania, Chile" by B1mbo - Own work. Polat Kaya: The symbol at the centre of the Coat of Arms of Araucania shown above is the Mapudungun TRAPELAKUCHA, that is, the ancient Turanian cultural symbol that the migrating Turanians brought with them to South America thousands of years ago. That very same Turkish symbol now embellishes the "Coat of arms of La Araucania, Chile". The name ARAUCANIANS is a Spanish name given to the so-called MAPUCHE native peoples, that is, the YAKUT TURKS of South America. Curiously, when the name ARAUCANIANS is deciphered letter-by-letter as “SACAUN-ARANI”, it reveals the Turkish saying “SAKA’NUN ERENİ” (SAKA’NIN ERLERİ) meaning “the Saka men, the Saka people”. This again identifies these native people of South America as the Turanian Saka Turks, that is, the so-called Scythian Turks! Additionally, if the name ARAUCANIANS is deciphered letter-by-letter as “CUNAS-AI-ARAN” , it reveals the Turkish saying “GÜNEŞ AY ERENİ” meaning “the Sun and Moon people”. The Ancient Turanians were the believers of the Turanian Sky-God, Sun-God and Moon-God deities. Hence, they were also called “the Children of the Sun!” just like the Inca peoples of South America were. Turkish word GÜN means “sun”, GÜNEŞ (GÜN IŞI) means “sun; sunlight”, AY means “moon”, ER means “man; soldier, hero”, EREN means “men, people; soldiers, heroes”, SAKA means “name of Saka Turks”, SAKA’NIN means “of Saka”. In 1871, Anglican missionary and linguist Thomas Bridges and George Lewis established a mission at Tierra del Fuego; he and his wife raised their family there. He had learned the language starting when he lived on Keppel Island at the age of 17. Over more than a decade, he compiled a grammar and a 30,000-word dictionary of Yaghan-English. His second son, Lucas Bridges, also learned the language and is one of the few Europeans to do so. In his 1948 book, which was a history of that period, he writes that in Yaghan, their autonym or name for themselves was yamana (meaning "person" (though modern usage is man only, not woman)- the plural is yamali(m)). The name Yaghan (originally and correctly spelled Yahgan), was first used by his father Thomas Bridges as a shortened form of YAHGASHAGALUMOALA (meaning "people from mountain valley channel" -OALA is a collective term for 'men', the singular being ua). It was the name of the inhabitants of the Murray Channel area (Yahgashaga), from whom Thomas Bridges first learned the language. The name Tekenika (Spanish: Tequenica), first applied to a sound in Hoste Island, simply means "I do not understand" (from teki- see and -vnnaka (v schwa) have trouble doing), and evidently originated as the answer to a misunderstood question. Polat Kaya: Regarding the name YAGHAN or YAHGAN, the native information YAHGASHAGALUMOALA (meaning "people from mountain valley channel" - as given by Anglican missionary and linguist Thomas Bridges and George Lewis, is significant. It is said that the native term YAHGASHAGALUMOALA means "people from mountain valley channel" and also it is said that the native term OALA is a collective term for 'men', the singular being ua). In this context, the term OALA, at the end of the word, is not a strange term in Turkish. OLA in Turkish refers to “man” or “men”. In Turkish villages of Eastern Anatolia, women used to call their man “OLA”. Thus we have a so-called “COGNATE” Turkish word embedded in this native saying of YAHGASHAGALUMOALA. When we separate the term OLA from YAHGASHAGALUMOALA we have the remaining term YAHGASHAGALUMA. The meaning of this native “YAGHAN” term refers to a place which is located in an area that is at a lower place compared to another place. In this context, when we decipher the term YAHGASHAGALUMA letter-by-letter as “ASHAGHA-YAGMALU”, it reveals the Turkish saying “AŞAĞI YAĞMALU” which means “is from Lower Yagmalu”. Hence, the complete native term YAHGASHAGALUMOALA deciphered as “ASHAGHA-YAGMALU-OLA” is the corrupted Turkish saying “AŞAĞI YAĞMALU OLA” meaning “man from Lower Yagmalu”. This is very much the same as the meaning attributed to this native term meaning "people from mountain valley channel"! Turkish word AŞAĞI means “lower”, and YAĞMALU is a place name. The name YAĞMALU is a Turkish name like the Turkish word ANKARALU meaning “from Ankara”. My old village SUHARA in Çıldır, Turkiye, had two neighbour villages named “AŞAĞI CAMBAZ” and “YUKARI CAMBAZ” and they are still known with the same names. People from these villages might have been called in the past “AŞAĞI CAMBAZLI OLA” meaning “man from Lower Cambaz” and “YUKARI CAMBAZLI OLA” meaning “man from Upper Cambaz”. Even the English term COGNATE and the Latin term “COGNATUS” (blood relative) are also made up from Turkish word TANIK and/or “KAN TANIGI” (AKRABA) meaning “persons or things that we recognize; persons who are our relatives”. All of these revelations identify the so-called Mapuche YAGHAN peoples with the ancient Turanian Tur/Turk/Oguz peoples - contrary to the deceptions we have been led to believe. Thus, the so-called YAGHAN native word “YAHGASHAGALUMOALA” is actually a concocted term which is made up from a complete Turkish sentence, the words of which are all concatenated (i.e., “linked together in a chain”) to make a strange word that does not exist in any language. So, this so-called “unknown Yaghan language” is actually a diversion by the missionaries of the Aryan and Christian establishment – designed to stop people from making further inquiries. This is how the world has ended up with so-called “thousands of languages” in South America and elsewhere. The world has been conned into believing that there are thousands of languages by a bunch of religious clergy missionaries – when in fact there was only one language at the be[inning that was used world-wide and the rest of the languages were eventually made up from that. The missions and early 20th-century anthropologists collected information about Selk'nam religion and traditions while trying to help them preserve their culture. Missionaries also compiled a short dictionary of the Selk'nam language. The Selknam spoke a Chon language. Selk'nam religion was a complex system of beliefs. It described spirit beings as a part of the past, in creation myth. Temáukel was the name of the great supernatural entity who they believed kept the world order. The creator deity of the world was called KÉNOS or QUÉNOS. Polat Kaya: The ONAWO and ONA names of the so-called SELKNAM people are the most revealing. The name ONA is the Turko-Sumerian name ANO (ANU) meaning the “creator Sky-God”. Similarly, when the name ONAWO (where the bogus letter W is a replacement for letters VU, thus making the name ONAVUO) is deciphered as “ANU-OVO”, it reveals the Turkish saying “ANU ÖVÜ” (ANU EVİ, TANRU EVİ) meaning “house of Anu, Home of the creator sky god Anu (Tanru) of the Sumerian Tur/Turk/Oguz peoples”. Thus, the so-called ONA people were kin to ancient Turanian Tur/Turk/Oguz peoples of Sumerians. The reference also points out that the SELK'NAM people called their creator deity by the name KÉNOS or QUÉNOS. These names are also very revealing. The name KÉNOS, deciphered as “KONES”, reveals the Turkish word “KÜNEŞ” (GÜNEŞ) meaning “sun”. Similarly, the name QUÉNOS, deciphered as “QUNES-O”, also reveals the altered Turkish saying “KÜNEŞ O” (GÜNEŞ O) meaning “it is the sun”. It is true that the Sun is a deity that rules the earth. Without the Sun, none of us would be here now discussing this matter. After having said this, we must also note here that there is also another hidden meaning in Turkish embedded in these terms KÉNOS or QUÉNOS. Both of these words deciphered as “KONÉS” or “QONUS-É” respectively, reveal the Turkish sayings “KONUŞ” meaning “speech; speaking” and “KONUŞ EVİ” meaning “speech house; house of speaking; the mouth; the head”. Indeed, the human head, the human mouth and words are the deities that rule and regulate the order of life on earth. Therefore, the terms KÉNOS or QUÉNOS are the altered and Aryanized forms of the Turkish words “KONUŞ” and “KONUŞ EVİ”. When the term TEMÁUKEL is deciphered as “KELÁMETU”, it reveals the Turkish word “KELİMEDİ” meaning “it is the word”. And just above, we deciphered KÉNOS or QUÉNOS as being a distortion of Turkish word GÜNEŞ meaning “sun” – which obviously is a great supernatural entity in the sky that controls the order of the earth. Also just above we deciphered KÉNOS or QUÉNOS as being a distortion of Turkish word KONUŞ (KELİME) meaning “speech” or “the word”. This reminds us of the so-called “Biblical” saying “In the beginning was the Word, and the Word was with God, and the Word was God.” This “Biblical” saying is another formulation of the ancient Turanian understanding of: a) the Sun-God concept and b) the ruling power of “words” (language). Of course the speech of man is the entity that rules the order of the world – just like the Sun is a supernatural entity that rules our earth and our solar system. “TEHUELCHE (AONIKEN, INAQUEN, GUNUA-KENA, GUNUNA-KENA) is a CHON language of Patagonia. Its speakers were nomadic hunters who occupied territory in present-day Chile, north of Tierra del Fuego and south of the Mapuche people. It is also known as AONIKENK or AONEK'O 'AJEN. Puelche (Mapudungun: pwelche, " people of the east") is the name that the Mapuche used to give the ethnic groups who inhabited the lands to the east of the Andes Mountains (in Argentine territory and some valleys of Chile) including the northern TEHUELCHES and Hets, these last ones were also known as the PAMPAS or QUERANDÍES. Thus, the ethnic and cultural identity of the native peoples, that is, their names, language, religion, cultures, etc. were all changed into something that was totally alien to the nature of the native people. Hence the Mapuche TEHUELCHE (the Native people who are also named AONIKENK) lost their ancient Turanian language and identity in the Araucanization process. Interestingly, all of the names, “AONIKENK, AONIKEN, INAQUEN, GUNUA-KENA, GUNUNA-KENA), given in the above reference, are all altered forms of the Turanian Turkish language words and these names are said to be in the CHON language of Patagonia. The so-called “CHON” language is none other that the “GÜN” language, that is, the “SUN” language of the ancient Patagonian natives. In this context, even the name PATAGONIAN, when deciphered as “GON-PAIANTA”, reveals the the Turkish saying “GÜN-BEYANTI” (GÜN BEYLERİDİ) meaning “they are the Sun Lords”, thus, identifying the native Mapuche peoples of Patagonia as Turanian Tur/Turk/Oguz peoples from the so-called “old world” of Asia-Europe-Africa! Turkish word BEY means “lord, ruler; rich man”, BEYAN (BEYLER) means “lords, rulers; rich men” where suffix EN, AN is the Turkish plurality suffix, BEYANTI (BEYLERDİ) where the suffix TI, DI or Dİ is verbal suffix making the word to mean “are the lords, are the rulers; are the rich men”. When the Aryanized name AONIKEN is deciphered as “KONAN-IE”, it reveals the Turkish saying “KÜNHAN ÖYİ” (GÜNHANİYE, GÜNHAN EVİ) meaning “The Home of the Sun-Lord”. Furthermore, their language being a “CHON language of Patagonia” is also meaningful, because the so-called term “CHON” is just an altered form of the Turkish word “GÜN” - meaning “the Sun”; thus, making the so-called “CHON Language” as the Turkish “GÜN language” - which is none other than the Turkish language itself! But the Aryanized name AONIKEN, deciphered as “KONAN-IE”, also reveals the ancient Turkish saying “KANAN ÖYİ” (KANAAN EVİ, GÜNHAN EVİ) meaning “The Canaan Home, the Home of Turkish Günhans, the home of the so-called ‘Phoenicians’”. This Turkish decipherment refers to these native peoples of South America as the Turanian Günhan Turks of Tur/Turk/Oguz peoples of the ancient old-world! Furthermore, the Aryanized name AONIKEN, deciphered as “KANON-IE”, also reveals the ancient Turkish saying “KANUN ÖYİ” meaning “The Home of Law and Justice” which refers to the ancient Turanian Tur/Turk/Oguz people of the Old-world and the New-World! This identifies the Native peoples of South America as “LAW” making and “LAW” abiding peoples as their ancestors were in the old world order of Turan! GUNUA-KENA, when deciphered as “GUN-AKAEN-U”, reveals the Turkish saying “GÜN AKANIN ÖYİ” (GÜN AĞANIN ÖYİ) meaning “home of the Sun Lord”. GUNUNA-KENA. when deciphered as “GUN-AKANEN-U”, reveals the Turkish saying “GÜN AKANIN ÖYİ” (GÜN AĞANIN ÖYİ) meaning “home of the Sun Lord”. Turkish word GÜN means “sun”, GÜNİN means “of the sun”, KÖY means “village”, KÖYİ means “the village”, ÖY means “home, house” ÖYİ means “the home, the house”, AKA (AĞA) means “lord, ruler”, AKANIN (AĞANIN) means “of the lord, of the ruler”. The TEHUELCHES natives are also known as the Mountain people from the Andees. In this context, the name TEHUELCHES deciphered as “TUCH-ELSHEE” reveals the Turkish saying “TAĞ İLCİ” meaning “from mountain country”; and additionally, deciphered as “TUCHLESHEE” reveals the Turkish saying “TAĞLIÇE” meaning “in mountain language” which refers to their language in Turkish. As the above decipherments of the Aryanized names of these South American Native peoples show us, we see that all of these names are SUN related names made up from Turkish and the native peoples were Turkish speaking Turanian Tur/Turk/Oguz peoples! The Tehuelche originally spoke Tehuelche, also known as Aonikenk, a Chon language. Later, with the Araucanization of Patagonia, many tribes started to speak variants of Mapudungun. Their name, Tehuelche, comes from that language. Polat Kaya: When the Aryanized place name NAHUELHUAPI is deciphered as “HAN-APU-ILE-UH”, it reveals the Turkish saying “HAN-APA İLİ O” (APA-HAN İLİ O) meaning “it is the country of Lord Father”, in other words “the Fatherland”. So this fabricated name NAHUELHUAPI is actually an altered, disfigured and disguised form of the Turkish saying “HAN-APA İLİ O”. Turkish word HAN means “lord, God, ruler, master”, APA means “father”, İLİ means “the country of”. a) The people name COMARCANOS, deciphered as “CONASCO-RAM”, reveals the Turkish saying “GÜNEŞCÜ EREM” meaning “I am sun believing man” which identifies their religion as being the Sun religion. This in turn identifies them as a member of the ancient Turanian Tur/Turk/Oguz people. b) The people name COMARCANOS, deciphered as “COMANCO-ARS”, reveals the Turkish saying “KOMANCU ERİZ” ” meaning “we are Kuman People”. This in turn identifies them as KUMAN TURKS, that is, a member of the ancient Turanian Tur/Turk/Oguz people. c) The people name COMARCANOS, deciphered as “SOCA-COMAN-R”, reveals the Turkish saying “SUCU KUMAN ER” (SAKA KUMAN ER) ” meaning “the Sea going Kuman man” which again identifies them as KUMAN TURKS, a member of the ancient Turanian Tur/Turk/Oguz people. With all of these decipherments, we get a very thorough identification of these sun-worshipping, sea-going member Kuman Saka Turks of the ancient Turanian Tur/Turk/Oguz people. It is no wonder that the ancient peoples of South America and Central America, and, the North American natives, were also TURANIAN and OGUZIAN Tur/Turk/Oguz peoples. The name POYAS: The native-land name NAHUELHUAPI, being described in Turkish “HAN-APA İLİ O”, relates the POYAS to Turkish speaking Tur/Turk/Oguz peoples. And, above we find that the POYAS (COMARCANOS) and PUELCHES, PEHUNCHES were all related and were Mapuche peoples. Furthermore, they are neighbors geographically. Sun color (Henna) and gold-red (red ocre) was, and still is, their native color that they use for painting their faces. This is so because their ancestors were sun-worshipping people. The name POYA is an altered form of Turkish word BOYA meaning “paint”. This was the name of the so-called “Phoenicians” which is from the red paint that the Turanian Turkman Günhans, that is, the red painted “Phoenicians”, painted their faces. That is why the Sun worshipping Native Americans are called “RED INDIANS”. History has lied about the true identity of the peoples of the Turkish speaking ancient world. Phoenicians are one such Turkish speaking Turkmans of ancient Turan. By altering their Tur/Turk/Oguz Turanian identity and their Turkish language, and fraudulently labelling them as “Semitic people”, they have denied from them their true Turanian identity. People of the world have been endlessly conned to present times with deliberate disinformation. We see this kind of intentional identity alterations even in the names of the South American Native peoples. The people of the world have been terribly misled by the missionaries who invaded these North, Central and South American lands and their native peoples! The Phoenicians of the old world in ancient Kanaan, North Africa, Carthage, Spain and even in Europe were almost exterminated to extinction by the Romans during the so-called PUNIC Wars. Curiously, we see the Phoenician name and presence (in disguised form) among the South American natives! This was due to the fact that they were sea-going peoples and they went to South America much earlier than the Christian missionaries did. Pehuenche (Pewenche, people of pewen in Mapudungun) are an indigenous people who are part of the Mapuche peoples; they live in the Andes in south central Chile and Argentina. Their name derives from their habit of harvesting piñones, the seeds of the Araucaria araucana or pewen. In the 14th century, the Pehuenche lived in the mountainous territory marked by LONQUIMAY VOLCANO and Maule River. Later they became Araucanized and partially merged with the Mapuche tribes. Polat Kaya: Another tribal name was the name PEHUENCHE. When the name PEHUENCHE is deciphered letter-by-letter as “PHENECHE-U”, it reveals the altered form of the Turkish saying “FENİKE O” meaning “It is Phoenicia” or “he is Phoenician”. In other words, the so-called PEHUENCHE natives of South America were actually the Phoenicians, that is, the Günhan Turkmans who had gone into South America and settled there long long ago. But the name of these Turanian native people was so badly altered and disguised by the invading missionaries that it was not easy to recognize their Phoenician (Günhan) identity any more. This explanation of the name PEHUENCHE also verifies my findings under the name PICUNCHE above. If the so-called “PHOENİCİANS” or “PUNICUS” peoples were truly “Semitic” people, as they are wrongly claimed to be, their names, language and identities would not have been altered, confused or hidden by the Judeo-Christian missionaries in the Old world. Since the “PHOENİCİANS” or “PUNICUS” people were ancient Turanian Tur/Turk/Oguz peoples from the very beginning, the language and identities of these native Americans would have to also be changed by the missionaries! And that is what they did! “The name Phoenicians, like Latin Poenī (adj. poenicus, later pūnicus), comes from Greek Φοίνικες (Phoínikes), attested since Homer and influenced by phoînix "Tyrian purple, crimson; murex" (itself from φοινός phoinós "blood red", of uncertain etymology; R. S. P. Beekes has suggested a Pre-Greek origin of the ethnonym). The oldest attested form of the word is the Mycenaean po-ni-ki-jo, po-ni-ki, ultimately borrowed from Ancient Egyptian fnḫw (fenkhu) "Asiatics, Semites". 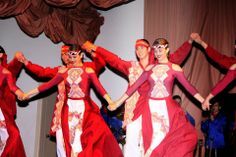 The folk-etymological association of phoiniki with phoînix mirrors that in Akkadian which tied kinaḫni, kinaḫḫi "Canaan; Phoenicia" to kinaḫḫu "red-dyed wool". The land was natively known as knʿn (cf. Eblaite ca-na-na-um, ca-na-na), remembered in the 6th century BC by Hecataeus under the Greek form Chna, and its people as the knʿny (cf. Punic. They called themselves Kn'n, a name that survived until the 4th Century CE, in North Africa. This shows how the name of the Turanian Günhan (Turkman) peoples was intentionally disfigured into a riddled form (i.e., obliterated) by the Greeks and Semites in the Old World. Similarly, the names of the Günhan (Turkman) peoples in South America were also altered, confused, restructured and Aryanized by the Christian missionaries. “The name Phoenicians comes from Greek Φοίνικες (PHOÍNIKES), attested since Homer and influenced by phoînix "Tyrian purple, crimson; murex" (itself from ΦΟΙΝΌΣ PHOINÓS "blood red", of uncertain etymology. The claim that the name is of unknown etymology is rather a disinformation. Most likely they knew the fact that the Phoenicians were ancient Turkish speaking Turanian peoples, but curiously, in the eyes of the Aryan and Semitic writers, when the subject matter is related to the ancient Turanian Tur/Turk/Oguz peoples, suddenly, their Turkish identity evaporates into thin air and their identity become “of uncertain etymology.” The language and the ethnic Turanian origin of those ancient people have been intentionally obliterated by the Semites and the Aryans. Even the name of those ancient people called Phoenicians has been Semitized and Aryanized. This must be happening because of the religious order of the Semites, that is, let us confuse their language so that not only they will not understand each other, but also the world will not know who they were any more. Evidently, they have become very successful in that evil political objective because to this day nobody seems to know the true identity of the Phoenicians (Cananites). Scholars and writers have wrongly identified the Phoenicians as Semitic people. There is no coincidental chance that we could have all of these cognate Turkish sayings identifying the Native peoples of South America as Turkish people, unless their identities were artificially altered and restructured into some alien looking words by men who were highly experienced in doing such alteration and obliteration of the identity, language and civilization of the ancient Turanian Tur/Turk/Oguz peoples wherever they were. Puelche (Mapudungun: pwelche, " people of the east") is the name that the Mapuche used to give the ethnic groups who inhabited the lands to the east of the Andes Mountains (in Argentine territory and some valleys of Chile) including the northern TEHUELCHES and Hets, these last ones were also known as the PAMPAS or QUERANDÍES. By the end of the 18th century the survivors of the plagues and epidemics that annihilated these ethnic groups were aculturated in a process of Araucanization by Mapuche immigrants, so that in the 19th century the ethnically mixed group formed was basically Het and Tehuelche but Araucanized linguistically and culturally. The name PUELCHES, deciphered as “APU-ELCHE”, reveals the Turkish saying “APA İLCİ” meaning “from Fatherland”; and additionally, when deciphered as “APU-ELCHE”, reveals the Turkish saying “APAİLCHE” meaning “in the language of Fatherland” - which refers to their language in Turkish. When QUERANDÍES is deciphered as “QUNESI-ERDA”, it reveals the Turkish saying “GÜNEŞ ERDİ” meaning “sun worshipping man”. When QUERANDÍES is deciphered as “DURANSE-QEI”, it reveals the Turkish saying “TURANCI QÖY” meaning “Turanian village”. When QUERANDÍES is deciphered as “DANRESU-QEI”, it reveals the Turkish saying “TANRICI QÖY” meaning “Tanrı worshipping village”. When QUERANDÍES is deciphered as “DURQİ-ANEES”, it reveals the Turkish saying “TÜRKİ HANİZ” meaning “we are Turk lords”. When QUERANDÍES is deciphered as “DURQ-ANEES”, it reveals the Turkish saying “TÜRK HANEİZ” meaning “we are Turk homes” or “we are Turk families”. The TEHUELCHES natives are also known as the Mountain people from the Andes. In this context, the name TEHUELCHES deciphered as “TUCH-ELSHEE” reveals the Turkish saying “TAĞ İLCİ” meaning “from mountain country”; and additionally, when deciphered as “TUCHLESHEE” reveals the Turkish saying “TAĞLİÇE” meaning “in mountain language” which refers to their language in Turkish. CAMANCHACOS or CAMANCHANGOS, were an indigenous people who inhabited a long stretch of the Pacific coast from the Atacama desert to the Coquimbo Region in what is now southern Peru and northern Chile. Polat Kaya: The name CHANGOS, deciphered as “GONASCH”, reveals the Turkish word “KÜNEŞÇE” (GÜNEŞ DİLİNDE) meaning “in the sun language”; and also “KÜNEŞCİ” meaning “sun believing people”. Thus, this native people were not only Sun-god believing people, but they were also the speakers of the Sun Language - which was the Turkish language. Furthermore, when the name CHANGOS is deciphered as “GOSHANC”, it reveals the Turkish word “ĞUZHANCI” (OĞUZHANCI) meaning “Oguzhan people”. Thus, these native people were not only Sun-god believing people, they were also the Oguzhan people of the ancient Turanian Tur/Turk/Oğuz peoples. a) When the name CAMANCHANGOS is deciphered as “AGH-COMAN-CANS”, it also reveals the Turkish saying “AĞ KUMUN CANIZ” (AK KUMUN CANIYIZ) meaning “we are the people of the white sands”. Thus, this definition in Turkish also identifies the CAMANCHANGOS peoples as being from the ATACAMA desert as defined in the above reference. This also identifies the name ATACAMA of the Atacama Desert being made up from Turkish saying ATAKUM meaning “father-sand” (Great Sand). Unquestionably, the name ATACAMA is the altered form of the Turkish word ATAKUM in the name “ATAKUM ÇÖLÜ”. Turkish word ATA means “father”, KUM means “sand” and ÇÖL means “desert” where there is plenty of “SAND” (i.e., KUM). b) When the name CAMANCHANGOS is deciphered as “GONHAN AC-CAMIZ”, it also reveals the Turkish saying “GÜNHAN AK KAMIZ” (GÜNHAN AK ŞAMANIZ) meaning “we are the Günhan White-Shaman people”. Thus, this definition in Turkish also describes the identity of CAMANCHANGOS, who are presently one of the native peoples of Chili, as being a branch of the ancient Turanian White Shamans of the Turanian Tur/Turk/Oguz people. The White Shamans and Black Shamans, that is, Turkish AK KAMs and KARA KAMs are also well described by Mircea Eliade, in his book entitled “Shamanism ARCHAIC TECHNIQUES OF ECSTASY, 1974, page 189”. Among the so-called Mapuche native CAMANCHANGOS, there are many shaman people. Of course the Turkish name GÜNHAN was the true name of the so-called “PHOENİCİAN” Turkmans of Canaan who had no kinship with the so-called SEMITE people, even though historians falsely label the Phoenicians as “Semitic people”. But the Wind Believing Semitic people, who were the Black Magicians (i.e., Kara Cadılar) of the ancient Middle East, were almost eternal enemies of the PHOENİCİAN TURKMANS, of Canaan, that is, the GÜNHAN TURKMANS. The Semitic “Black Magicians” massacred the Caananite people and destroyed everything the ancient GÜNHANS had created – and then they usurped all of the Caananite creations as their own. c) When the name CAMANCHANGOS is deciphered as “CONAANGH-CAMS”, it reveals the Turkish saying “KANAANCI KAMIZ” meaning “we are the Shamans from Canaan”. But the ancient people of CANAAN were Turkish GÜNHANS Turkomans. Thus, this definition in Turkish again identifies these native peoples of South America as GÜNHAN Turks originally from the middle East of the Old World! Turkish word AĞ (AK) means “white”, CAN means “living beings; man, people”, CANIZ means “we are living beings; we are men, we are people”, KAM means “shaman”, and KUMAN (KIPÇAK) is the name of one distinguished family of Turks in ancient Turanian Tur/Turk/Oguz peoples. Now we find them settled in South America thousands of years prior to Aryan arrival in the American continents. “THE ATACAMA PEOPLE, known as ATACAMEÑOS or ATACAMAS in Spanish and KUNZAS, LIKAN-ANTAI or LIKANANTAÍ in the native language, are an indigenous people from the Atacama Desert and altiplano region in the north of Chile and Argentina and southern Bolivia. 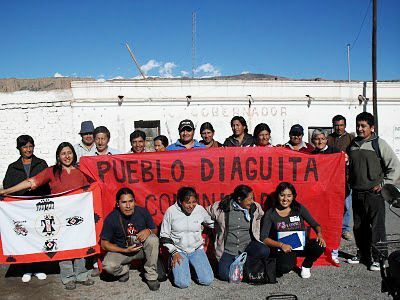 Polat Kaya: “The ATACAMA people are also known as ATACAMEÑOS or ATACAMAS in Spanish and KUNZAS, LIKAN-ANTAI or LIKANANTAÍ in native language. a) The name ATACAMENOS, deciphered as “ATA-COMANES”, reveals that it is the altered, restructured and disguised form of the Turkish saying “ATA KUMANIZ” meaning “we are the father Kuman people, we are the Kipçak Turks”. This definition in Turkish identifies and verifies that even the ATACAMA people of South America were ancient Turanian Tur/Turk/Oguz peoples from Asia. The name KUMAN is the name of the KUMAN Turks who were all over in Asia, Europe, Middle East and the so-called ancient “EGYPT” and other parts of north Africa. b) The native people name ATACAMENOS, deciphered as “ATA-CONESAM”, also reveals the embedded Turkish saying “ATA GÜNEŞEM” meaning “I am father sun (man)”. Thus, these two decipherments in Turkish identify the ATACAMENOS natives of South America as Sun worshipping, Turkish speaking Kuman (Kipçak) Turks. All Mapuche people were Sun worshipping people before they were Christianized. Now let us inspect some of their names – as said to be in their native languages: KUNZAS, LIKAN-ANTAI or LIKANANTAÍ. c) The native people named KUNZAS, deciphered as “KUNASZ” reveals the embedded Turkish saying “GÜNEŞCİ” meaning “Sun worshipping people”. d) The native people named KUNZAS, deciphered as “KUNASZ” reveals the embedded Turkish saying “GÜNEŞÇE” meaning “Sun-Language speaking people”. Of course the Sun Language that they spoke was none other than the Turkish Language! e) The native people named LIKAN-ANTAI or LIKANANTAÍ, deciphered as “ALTAI-KANIN” (KANIN-ALTAI), reveals the embedded Turkish saying “ALTAY-KANIN” (KANIN-ALTAY) meaning “your blood is from Altai (mountains of Central Asia)”. f) When the name ATACAMEÑOS is deciphered as “COMAN-ATASE”, it also reveals the Turkish saying “KUMAN ATAŞI” meaning “the fire of Cuman Türks”. Thus, this definition in Turkish again refers to them as the Sun believing ancient Turanian Kuman Turks and also to their fiery fighting nature! g) When the name ATACAMEÑOS is deciphered as “CAM-ATASEN-O”, it also reveals the Turkish saying “KAM ATASIN” meaning “you are Şaman Father”. Thus, this definition in Turkish also identifies this native people as Sun believing ancient Turanian Tur/Turk/Oguz peoples. h) When the name ATACAMEÑOS is deciphered as “ATACOMSEAN”, it also reveals the Turkish saying “ATAKUMCUAN” (ATAKUMCULAR) meaning “those who are from the Atacama desert”. And indeed they are said to be from the Atacama desert on the Ande mountains in the above reference! All of these decipherments show that the ATACAMA people, who are also known as ATACAMEÑOS or ATACAMAS in Spanish and KUNZAS, LIKAN-ANTAI or LIKANANTAÍ in native languages, were none other than the ancient Turanian people from Central Asia! The DIAGUITA people are a group of South American indigenous people native to the Chilean Norte Chico and the Argentine Northwest. Western or Chilean Diaguitas lived mainly in the Transverse Valleys incised in a semi-arid environment. Eastern or Argentine Diaguitas lived in the provinces of La Rioja and Catamarca and part of the provinces of Salta, San Juan and Tucumán. 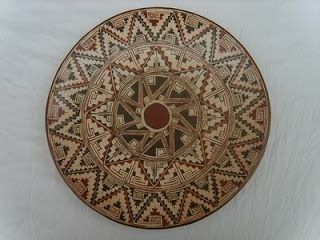 The term Diaguita was first applied to peoples and archaeological cultures by Ricardo E. Latcham in early 20th century. Ancient Diaguitas were not a unified people; the language or dialects used by them seems to have varied from valley to other valleys and they were politically fragmented into several chiefdoms. Coastal and inland Chilean Diaguitas traded as evidenced by the archaeological findings of mollusc shells in the upper course of Andean valleys. Currently there are 31,753 self-identified Diaguita descendants in Argentina. KAKÁN was proposed by Rodolfo Schuller and Ricardo E. Latcham to be the single language of the Diaguitas. This proposal has been questioned but is accepted among others by Sergio Villalobos. During the government of García Hurtado de Mendoza in Chile (1557–1561) Chilean Diaguitas that had rebelled were decimated by the Spanish. The Calchaquí Diaguitas of the eastern side of the Andes rose against Spanish rule in 1630 and the last rebels fought until 1642–1643. In this rebellion the Spanish city of La Rioja was close to be destroyed. The Calchaquí Diaguitas only entered Spanish rule after 1665. Cacán (also Cacan, Kakán, Calchaquí, Chaka, Diaguita, and Kaka) is an extinct language that was spoken by the Diaguita and Calchaquí tribes in northern Argentina and Chile. It became extinct during the late 17th century or early 18th century. The language was documented by the Jesuit Alonso de Bárcena, but the manuscript is lost. Genetic affiliation of the language remains unclear, and it has not been possible to link it to any existing language family. Polat Kaya: Ancient Turanian “The Sun Symbol”. 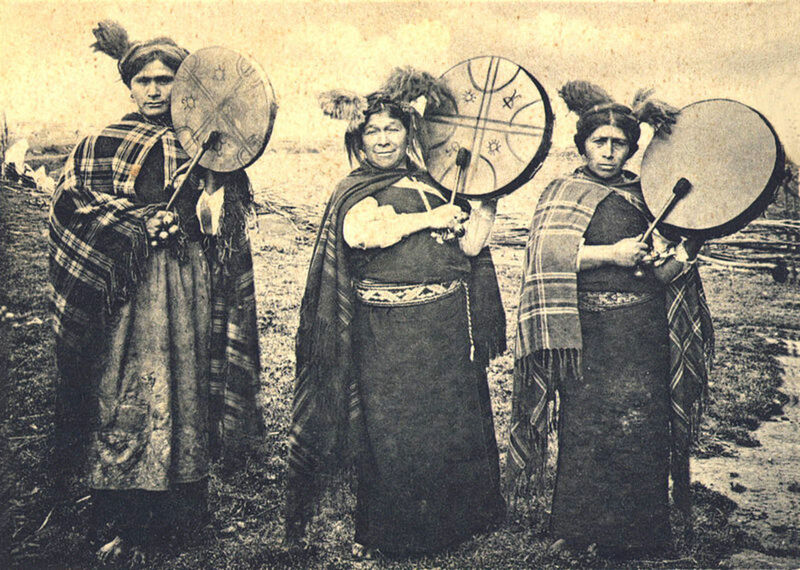 Mapuche machis or shamans. This photo is from 1903. The mythology and religion of the indigenous Mapuche people of south-central Chile and southwestern Argentina is an extensive and ancient belief system. A series of unique legends and myths are common to the various groups that make up the Mapuche people. These myths tell of the creation of the world and the various deities and spirits that reside in it. Polat Kaya: the name DIAGUITAS, deciphered as “DAAGSITI-U”, reveals the embedded Turkish saying “DAĞCIDI O” meaning “he is mountain man”. The KAKAN language that they say that the ancient native DIAGUITAS spoke sounds very much like the Turkish word HAKAN meaning the “Supreme Ruler”. When the Turkish word HAKAN is read as “HAK AN”, then, it means the “Sky God” who is regarded as the “Supreme ruler” of the ancient Turanian Tur/Turk/Oguz peoples. In this context, when the name DIAGUITAS is deciphered as “GUI-ATASDI”, it reveals the embedded Turkish saying “GÖY ATAŞDI” (GÖK ATAŞIDI) meaning “he is sky-fire” or “it is Sun-God”. Turkish word GÖY (GÖK) means “sky; blue”, ATAŞ means “fire”, ATAŞI means “the fire”, ATAŞIDI means “it is the fire of”. All Mapuche Native peoples are known to have been Sun worshipping people before Christianization. The native people DIAGUITAS, would also be Sun worshipping people. Also, when the name DIAGUITAS is deciphered as “AS-IAGUTDI”, it reveals the Turkish saying “AS YAKUT’DU” (BİR YAKUT’DU, BİR SAKA’DI) meaning “he is one Yakut (man), he is one Saka (man)”. This decipherment indicates that they they were the ancient Yakut (Saka) Turks. This we can verify as being correct, because when the name DIAGUITAS is deciphered as “SAGA-UIDİ-T” or “ISGIT-UADA”, it reveals the Turkish saying “SAKA ÖYİDİ”or “İSKİT ÖYİDİ” - both of which mean the same and say that “it is the home of Saka ( İskit, Yakut (man))”. This decipherment indicates that they were ancient Turanian SAKA (İSKİT) Turks! Furthermome, when the name DIAGUITAS is deciphered as “GUI-ATASDI”, it reveals the embedded Turkish saying “GÖY ATASIDI” (GÖK ATASIDI) meaning “he is Sky-Father (man), he is Sky-God (believer man)”. The Mapuche people were ancient Turanian Sky-God worshipping people before Christianization. Turkish word GÖY (GÖK) means “sky; blue”, ATA means “father”, ATASI means “the father”, GÖY ATASI (GÖK TANRI) means “sky father, Sky God”. The majority of the Huilliche speaks Spanish while a minority dominated by older adults speaks Huillice language. HUILLICHE (which can also be found spelt Williche, Huiliche or Veliche) is a branch of the Araucanian language family. In 1982 it was spoken by about 2,000 ethnic Huilliche people in Chile. It is spoken in the nation's Los Lagos and Los Ríos regions; and mountain valleys, between the city of Valdivia and south toward Chiloé Archipelago. HUILLICHE is composed of at least two varieties, called HUILLICHESUNGUN and TSESUNGUN by their speakers. Huillichesungun is spoken in WEQUETRUMAO, on the island of Chiloé, and TSESUNGUN is spoken CHOROY TRAIGUEN, on the coast of Osorno province. Huilliche is closely related to MAPUDUNGUN, the language of the Mapuche, though more research is needed to determine the degree of mutual intelligibility between the two. Polat Kaya: The term FUTAHUİLLİMAPU, is said to mean "great land of the south". In this context, when the name FUTAHUİLLİMAPU is deciphered as “AH-PAPH ULU-ILIMTU, it reveals the embedded Turkish saying “AĞA-BABA ULU-ILIMTU” meaning “it is my great land from my Lord Father ”. Turkish word AĞA means “lord”, BABA means “father”, ULU means “great”, İLİMDİ means “it is my country”. Additionally, when the name FUTAHUİLLİMAPU is deciphered as “AHPAPH ULU-ILIMTU, it reveals the embedded Turkish saying “AĞBABA ULU-ILIMTU meaning “Ağbaba is my great land, Ağbaba is my great country”. In this case, the Turkish name “AĞBABA” refers to some mountains and areas that are named as such in Anatolia, Caucasian countries, also in Turkmenistan and other Turanian lands. Therfore, it is most likely that the ancestors of these native South Americans, so-called HUILLICHESUNGUN, had originally come from these Turanian lands. It is interesting to know that the HUILLICHESUNGUN language is sspoken in WEQUETRUMAO, on the island of Chiloé, and TSESUNGUN is spoken CHOROY TRAIGUEN, in South America. I will discuss them below. It is said that the name Huilliche means 'southerners'. This may be, but it is not logical for natural directions to define or identify the ethnicity of a people. Therefore, the given etymology is not believable. In fact, it seems to be sophistry (i.e., selling a bag of nonsense as the truth). The name HUİLLİCHE is a shortened form, that is, a cut-off front end of the name HUILLICHESUNGUN. Thus, Huilliche is not a root word. Hence, it is a concoction. The real information is hidden within the names HUILLICHESUNGUN and TSESUNGUN. When the name HUILLICHESUNGUN is deciphered letter-by-letter as “GUNCI-ULU-HEN-ILSH”, it reveals the Turkish saying “GÜNCİ ULU HAN İLCİ” meaning “from the country of the Sun-believing Great Lord”. Thus, they are identified in Turkish as the Turkish-speaking Tur/Turk/Oguz peoples, contrary to all kinds of misleading disinformation about their original identity! Additionally, when the name HUILLICHESUNGUN is deciphered letter-by-letter as “GUNESH-ILCI-ULU-HN”, it reveals the Turkish saying “GÜNEŞ DİLCİ ULU HAN” meaning “Sun-language speaking Great Lord”. This Turkish expression also identifies this native people as “sun-language speaking people”. Thus, they are identified as being originally Turkish-speaking Tur/Turk/Oguz peoples, contrary to being identified as “southerners”. The name HUILLICHESUNGUN, deciphered as “GUNHEN-ULUS-ILCHI”, reveals the Turkish saying “GÜNHAN ULUS İLÇİ” meaning “from the country of Günhan Nation”. This description in Turkish identifies the South American Native people so-called HUILLICHESUNGUN as being ancient Turanian GÜNHAN TÜRKMEN people, that is, the so-called “Phoenicians” from the CANAAN Land of the Old World. The name HUİLLİCHE having the Turkish suffix -CHE indicates that the word HUİLLİCHE is the name of a language as indicated in the above given references (TURKCHE means “in the language of TURK”). In the HUILLICHE country, there is one famed Mountain named by the Spanish as TRONADOR supposedly after the Spanish word for Thunderer. The English word THUNDERER is said to have the meaning of: “that which gives a loud, explosive, resounding noise produced by the explosive expansion of air heated by a lightning discharge.” This definition of the term refers to the thundering sky in a storm or similarly to the explosive voice of an active volcano. Polat Kaya: Firstly, all of these names, old or new, are Aryanized terms related to THUNDER or THUNDERER but they all have embedded in them the Turkish word TANRI meaning “Sky God”. When the sky “thunders” in a storm, it is regarded as “the angry shout of the sky god”. In this context, when the name of the Mount TRONADOR is deciphered as “TANRODOR”, we see that it is an altered form of the Turkish saying “TANRUDUR” meaning “ it is God”. Thus, this decipherment clearly identifies that this so-called “Aryan” term has been concocted from a Turkish word. Since this name is the name of an ancient volcanic mountain, we must also analyze the name in that context. a) When the name WEQUETRUMAO is deciphered as “EA-TURQ-OYUYEM”, it reveals the Turkish saying “EYİ TÜRK ÖYÜYEM” meaning “I am home of good Turk, I am land of good Turk”. This identifies the HUILLICHESUNGUN natives of South America as Turk people. b) When the name WEQUETRUMAO is deciphered as “EYU TURQME-OYA”, it reveals the Turkish saying “EYÜ TÜRKMEN ÖYÜ” meaning “I am the home of good Türkmen”. Again, this decipherment identifies the HUILLICHESUNGUN natives of South America as Turkmen people. c) When the name WEQUETRUMAO is deciphered as “YU-TEREQMA-OYU”, it reveals the Turkish saying “EYÜ TEREKEME ÖYÜ” meaning “I am the home of good Terekeme Turks, I am the land of good Terekeme Turks”. Or alternatively, meaning “I am the good home of Terekeme Turks, I am the good land of Terekeme Turks”. Thus again this decipherment identifies the HUILLICHESUNGUN natives of South America as Turkmen Terekeme people. Polat Kaya: Top left: A Sun Flag of Mapuche peoples. It is like the DRACO Flag of Turanians. Polat Kaya: We also have the information that HUILLICHE is composed of at least two varieties, called HUILLICHESUNGUN and TSESUNGUN by their speakers. Huillichesungun is spoken in WEQUETRUMAO, on the island of Chiloé, and TSESUNGUN is spoken CHOROY TRAIGUEN, on the coast of Osorno province. Huilliche is closely related to MAPUDUNGUN, the language of the Mapuche, though more research is needed to determine the degree of mutual intelligibility between the two. As I had noted above, the name MAPUDUNGUN is originally a Turkish saying that has been anagrammatized into an Aryanized form. This we see when the word MAPUDUNGUN is deciphered as “GUN-PUDUNAM”. With this decipherment, the name MAPUDUNGUN reveals the Turkish saying “GÜN BUDUN’AM” (GÜN ULUS’UM) which means “I am the Sun Nation, I am the Sun People, I am the Tur/Turk/Oguz people”. The Turkish word GÜN means “sun”, BUDUN (ULUS) means “nation, people”, and in this case the Turkish suffix -AM, -UM or -IM is the verbal form of “I am”, which makes the Turkish saying BUDUNAM to mean “I am nation, I am people.” We see that this Turkish two-word saying “GÜN BUDUNAM” (GÜN ULUS’UM) has been totally wiped away by replacing it with the single Aryanized word MAPUDUNGUN. Since, it is said that the MAPUCHE language, and the term MAPUDUNGUN both means “language”, then, the term MAPUDUNGUN, that is, the “GÜN BUDUN’AM” also means “I am SUN Language” (I am TURKISH). a) The name HUILLICHESUNGUN, deciphered as “U-GUNESUN-HILLICH”, reveals the Turkish saying “O GÜNEŞİN DİLİCE” meaning “it is in the Sun Language, it is in Turkish language”. b) The name TSESUNGUN, deciphered as “GUNEN-SUST” reveals the Turkish saying “GÜNİN SÖZDÜ” meaning “it is in the Word of Sun, it is the Sun language, it is the Turkish language”. c) The name TSESUNGUN, deciphered as “TUNS-GUNES”, reveals the Turkish saying “TUNUS-GÜNEŞİ” meaning “the Sun of Tunus, The Sun of Carthaginians, The sun of Phoenicians, The Sun of Günhan Turkmen”. d) When the name CHOROY TRAIGUEN is deciphered as “GUNHA-TORC-ER-OYI”, it reveals the Turkish saying “GÜNHAN TÜRK ER ÖYİ” (GÜNHAN TÜRKMAN ÖYİ) meaning “the home of the Günhan Turkman”. This description in Turkish again identifies this South American Native people so-called HUILLICHESUNGUN as being ancient Turanian GÜNHAN TÜRKMEN people, that is, the so-called “Phoenicians” from the CANAAN Land of the Old World. The KAWÉSQAR or KAWESKAR, also called ALACALUF or HALAKWULUP (meaning "mussel eater" in Yaghan), are a South American people who live in the Chilean Patagonia, specifically in the Brunswick Peninsula, and Wellington, Santa Inés, and Desolación islands of the western area of Tierra del Fuego. Their traditional language is known as KAWÉSQAR; it is endangered as few native speakers survive. Polat Kaya: What is shown as “PASCUENSES” on this map represents the so-called “Easter Island” in Pacific Ocean in west of Chili. An ALACALUF (KAWÉSQAR) woman selling handicrafts to tourists in Villa Puerto Edén, Chile. The English and other Europeans initially adopted the name that the Yahgan, a competing indigenous tribe whom they met first in central and southern Tierra del Fuego, used for these people: ALACALUF or HALAKWULUP (meaning "mussel eater" in Yaghan). Their own name for themselves (autonym) is KAWÉSQAR. The term ALACALUF, when examined as “ALACALU-F” is the altered form of the Turkish saying “ALACALU EV” meaning “from the spotted home” which refers to their land which consists of a chain of many islands. In this case, the Turkish term ALACA means “spotted” referring to many islands surrounded by the blue sea. Additionally, when the term ALACALUF is examined as “ALCALU-AF”, it also reveals the Turkish saying “HALKALU EV” meaning “Home with chained links (of islands)”. This again refers to the chained islands that they live on where the islands are linked like the links of a chain. This is visible in the map of southern Chile as shown above. The Turkish word HALKALU means “links of a chain” where each link is called HALKA in Turkish. The term ALACALUF also has the form “HALAKWULUP” as given in the above reference. The name HALAKWULUP, where W = UY in this case - and changed with UY in the name, then takes the form of “HALAKUYULUP”. a) When the term HALAKUYULUP is deciphered as “HALKALU-UYU-P”, it reveals the Turkish saying “HALKALU ÖYÜ” meaning “the Halkalu Country” or “Home of the chained islands”. Turkish name HALKALU means “chained, linked”. b) When the name HALAKWULUP (HALAKUYULUP) is deciphered as “HALKALU-UY-PU”, it reveals the Turkish saying “HALKALU ÖY BEYÜ” meaning “Lord from village of HALKALU” (Lord from the home of chained Islands)! It is no wonder that their land is made up with many islands as shown in the map above. Their land with many islands makes these natives unquestionably Sea people. They were the Saka Turks as we will see below. The Saka Turks, that is, the so-called “SCYTHIANS” in the old world, were “sea going” peoples. c) When the name HALAKWULUP (HALAKUYULUP) is deciphered as “PALUKLU-UYAH”, it reveals the Turkish saying “BALUKLU-ÖYİ” meaning “home with fish”, or, the fishing village. These ancient Turanians (i.e., Phoenicians, Scythians, Pelasgians) were all sea-going people and one of their major activities was fishing. a) The name KAWÉSQAR, where W = UY and when the W is changed with UY, the name KAWÉSQAR takes the form of “KAYUÉSQAR”. When the name KAYUÉSQAR is deciphered as “SAKA-ER-QUY”, it reveals the Turkish saying “SAKA ER KÖYİ” meaning “The village of Saka soldier, the village of Saka man”. b) When the name KAWÉSQAR (KAYUÉSQAR) is deciphered as “ASQAR -KUYE”, it reveals the Turkish saying “ASKAR-KÖYİ” (ASKER-KÖYİ) meaning “The village of soldiers”. c) When the name KAWÉSQAR (KAYUÉSQAR) is deciphered as “SU-AQA-ER-KY”, it reveals the Turkish saying “SU AĞA-ER KÖYİ” meaning “Village of the Lord-Sea-Soldier”. All of these findings show that these natives were Turanian Tur/Turk/Oguz peoples before they were Aryanized. Turkish word SAKA means “the Sea People, the so-called Scythians, Saka Turks”, ER means “man; soldier, hero”, KÖY means “village”, ASKAR (ASKER) means “soldier”, SU means “water”, AĞA means “lord; king; ruler; very rich man”. Polat Kaya: In the name MAPUCHE, the part “MAPU” is the cut-off front-end of the names MAPUDUNGUN, MAPUZUGUN, MAPUDUNGU. And the suffıx CHE is the Turkish language suffix ÇE (CHE) that makes the word “MAPU” a name of a “language” - as it is in the name “MAPUCHE” and TÜRKÇE. Thus, the name MAPUCHE is an artificially made up name used to alienate the names of the Turkish speaking Turanian natives of South America. Even the names MAPUDUNGUN, MAPUZUGUN, MAPUDUNGU have been concocted from Turkish sayings. The name MAPUDUNGUN is actually made up from the Turkish saying “GÜN BUDUN’AM” (GÜN ULUS’UM) which means “I am the Sun Nation, I am the Sun People, I am the Tur/Turk/Oguz people”. Similarly, the name MAPUZUGUN is the altered form of the Turkish saying “GÜNCÜ BEYÜM” which means “I am sun believing lord” . The YAKUT TURKS (SAKA TURKS) are one of the prominent groups among the MAPUCHE natives of South America. In this study, I note that the geographical area so-called Patagonia in South America has been a place of human habitation for thousands of years since about 12,500 B. C. The present native peoples of Patagonia and of Chile are the Turanian Tur/Turk/Oguz peoples and they are said to have been in Patagonia only since around 1000 B. C. I believe that when investigated further, and –without the “Indo-European centric bias”, the presence of ancient Turanians in Patagonia will be verified without doubt. At this point, I would like to note the writings of Architect-Historian James Fergusson describing the Turanians: “the Turanians as the race who were the first to people the whole world beyond the limits of the original cradle of mankind,” as shown below. Similarly we have the following citing about the Turanians from the book “Turanians in South America” by Friedrich Max Muller. The branching off of the Turanians and Hamites in Africa,America, and Polynesia. a. The colony of East AsiaticTuranians in South Africa (great Kaffir branch). With this kind of identification of Turanians, we can reliably say that the so-called “Pre-Colombian” natives of South America were Turanian Tur/Turk/Oguz peoples contrary to denials. Throughout this study, we see that the native peoples of South America, like the natives of Central and North America, have gone through an intensive process of ethnic cleansing, identity alterations, language and cultural changes, and the alteration of many toponyms that were originally named in Turkish, as the natives were being Christianized and Aryanized after the arrival of Aryan Christian Europeans. In this context, the Natives of South America show linguistic and cultural evidence that they were part of the same ancient Turanian civilization such as the one found in the “GÖBEKLİ TEPE” of Eastern Anatolia - and other ones found in Central Asia. References used in this study tell us that the human settling of Patagonia goes way back to 12,000 B. C. This very important information reminds us of the GÖBEKLİ TEPE civilization found in Eastern Turkey which also takes the ancient Turanians to some 13,000 plus years into the past. Among the present names of the South American natives, we find names such as PICUNCHE, PEHUENCHE, MOLUCHE and HUILLICHE. MAPUCHE, TEHUELCHE, PUELCHE, PEHUENCHE, MOLUCHE, NGULUCHE, HUILLICHE and VELICHE, and the ones in Chile, that is, those named YAGANES, SELKNAM, AONIKENK, POYAS, PEHUNCHES, PUELCHES, CHANGOS, ATACAMENOS, DIAGUITES, HUILLICHES, TSESUNGUN, KAWESQER, AYMARAS and PASQUENNES. We note that many of these names end with the suffix –CHE which is the Turkish language suffix –CHE (-ÇE) that denotes a language name - as it is in the word TÜRKÇE. This is undeniable evidence that the original languages spoken by the South American natives were in Turkish. In addition to this linguistic fact, the Native tribal names shown here also reveal their source being in Turkish. The following is a summary of the many native names that I studied and deciphered into Turkish in the body of this study: [Note: the last two Native names, that is, AYMARAS and PASQUENNES will be dealt with in separate papers]. a) “PUNIC ATAAN” (GÜN BEYİ ATALAR) meaning “the Sun-Lord Fathers” which were the GÜNHAN TURKMANS. b) “BEN YAKUTAN” (BEN YAKUTLAR) meaning “I am Yakuts” (I am Yakut Türks, I am Saka Türks). d) “BEN GÖY OD HAN” meaning “I am the Sky Fire Lord”, that is, “I am the Sun God, I am the GÜNHAN”. e) “BEN KUT AY AN” meaning “I am the holy moon of sky”, that is, “I am the holy AYHAN”. f) “BEN OKUyANDI” meaning “I am one who knows how to read and write”, that is, “I am the learned man”. This name in South America is from the ancient Aryanized name of the King ARGANTHONIUS who was the king of the ancient Turanian TARTESSİANS in ancient Tartessos (in Andalusia) at the İberian Peninsula of present day Spain. The name TARTESSIANS, is made up from the Turkish saying “TUR DENİZCİ” (TURK DENİZCİ) meaning “the Tur/Turk Sea People.” Arganthonious was a king of Tartessians (i.e., the TATAR TURKS) who ruled Tartessia for 80 years. CHILE: This name in South America is a distorted form of the Turkish word KIYI İLİ meaning “the coastal land, the coastal country”. Looking at a map of South America, it is obvious that the land of the country of Chile, starting from Peru and Bolivia at the north, all the way through the Andes down to the southern tip of the continent, is just a thin strip of land along the coast. Therefore the country name CHILE is most likely from the Turkish saying “KIYI İLİ”. PICUNCHE: This name I deciphered in Turkish as “PUNICCHE” meaning “in the language of Carthaginians / Phoenicians”. Alernatively, “GÜN BEYCE” meaning “in the language of Sun Lords”, that is, “in the language of Günhan Lords”. PROMAUCAES: Deciphered in Turkish as “BİR SAKA ÖYÜM” meaning “I am one Saka home”, that is, “I am one Saka Turk; I am one Yakut Turk” and further “I am one sea going people”. QUİLLOTANE: Dechipered in Turkish as “AL-GÜN-İLİDÜ” meaning “it is the red sun country, it is the red sun land; it is the land of the Red-Sun worshipping people, it is the land of the Red-Sun worshipping Turanian Tur/Turk/Oguz man”. PEHUENCHE: Deciphered in Turkish as “FENİKE O” meaning “It is Phoenicia” or “he is Phoenician” or “he is Günhan Türkmens”. MOLUCHE: Deciphered in Turkish as “OKULUM” meaning “I am school” or “my school”. Additionally, it means “in the school language”. a) Deciphered in Turkish as “GÜNCİ ULU HAN İLCİ” meaning “from the country of the Sun-believing Great Lord”. b) Deciphered in Turkish as “O GÜNEŞİN DİLİCE” meaning “it is in the Sun Language, it is in Turkish language”. a) Deciphered in Turkish as “AĞA-BABA ULU-ILIMTU” meaning “it is my great land from my Lord Father ”. b) Deciphered in Turkish as “AĞBABA ULU-ILIMTU” meaning “Ağbaba is my great land, Ağbaba is my great country”. a) Deciphered in Turkish as “EYİ TÜRK ÖYÜYEM” meaning “I am home of good Turk, I am land of good Turk”. b) Deciphered in Turkish as “EYÜ TÜRKMEN ÖYÜ” meaning “I am the home of good Türkmen”. c) Deciphered in Turkish as “EYÜ TEREKEME ÖYÜ” meaning “I am the home of good Terekeme Turks, I am the land of good Terekeme Turks”. Alternatively, meaning “I am the good home of Terekeme Turks, I am the good land of Terekeme Turks”. Thus, these decipherments identify the HUILLICHESUNGUN natives of South America as Türk, Turkmen and Terekeme people all meaning the same..
TEHUELCHE: Deciphered in Turkish as “GÜNİN SÖZDÜ” meaning “it is in the Word of Sun, it is the Sun language, it is the Turkish language”. YAGANES also YAHGASHAGALUMOALA: Deciphered in Turkish as “AŞAĞI YAĞMALU OLA” meaning “man from Lower Yagmalu”. This is very much the same as the meaning attributed to this native term meaning "people from mountain valley channel"! SELKNAM also ONAWO and ONA: Deciphered in Turkish as ONAWO: “ANU ÖVÜ” (ANU EVİ, TANRU EVİ) meaning “house of Anu, Home of the creator sky god Anu (Tanru) of the Sumerian Tur/Turk/Oguz peoples”. This name also refers to the ancient ANUA civilization in Turkmenistan. The SELK'NAM people called their creator deity by the name KÉNOS or QUÉNOS. These names are none other than the Turkish word “KÜNEŞ” (GÜNEŞ) meaning “sun”. Similarly, the name QUÉNOS, deciphered as “QUNES-O”, also reveals the altered Turkish saying “KÜNEŞ O” (GÜNEŞ O) meaning “it is the sun”. AONIKENK, AONIKEN, INAQUEN, GUNUA-KENA, GUNUNA-KENA: . AONIKEN: Deciphered in Turkish as “KÜNHAN ÖYİ” (GÜNHANİYE, GÜNHAN EVİ) meaning “The Home of the Sun-Lord”. Furthermore, their language being a “CHON language of Patagonia” is none other than the Turkish word “GÜN” - meaning “the Sun”; thus, making the so-called “CHON Language” as the Turkish “GÜN language” - which is none other than the Turkish language itself! AONIKEN: Deciphered in Turkish as “KANAN ÖYİ” (KANAAN EVİ, GÜNHAN EVİ) meaning “The Canaan Home, the Home of Turkish Günhans, the home of the so-called ‘Phoenicians’”. This Turkish decipherment refers to these native peoples of South America as the Turanian Günhan Turks of Tur/Turk/Oguz peoples of the ancient old-world! AONIKEN: Deciphered in Turkish as “KANUN ÖYİ” meaning “The Home of Law and Justice”. POYAS: The name POYA is an altered form of Turkish word BOYA meaning “paint”. This was the name of the so-called “Phoenicians” which is from the red paint that the Turanian Turkman Günhans, that is, the red painted “Phoenicians”, painted their faces. That is why the Sun worshipping Native Americans (i.e., the First Nations people) are called “RED INDIANS”. NAHUELHUAPI (POYAS): Deciphered in Turkish as “HAN-APA İLİ O” (APA-HAN İLİ O) meaning “it is the country of Lord Father”, in other words, “the Fatherland”. a) Deciphered in Turkish as “GÜNEŞCÜ EREM” meaning “I am sun believing man”. b) Deciphered in Turkish as “KOMANCU ERİZ” meaning “we are Kuman People”. This in turn identifies them as KUMAN TURKS, that is, a member of the ancient Turanian Tur/Turk/Oguz people. c) Deciphered in Turkish as “SUCU KUMAN ER” (SAKA KUMAN ER) ” meaning “the Sea going Kuman man” which again identifies them as KUMAN TURKS. PEHUENCHE. Deciphered in Turkish as “PHENECHE-U” (“FENİKE O”) meaning “It is Phoenicia” or “he is Phoenician, he is Gunhan Turks”. PUELCHES: Deciphered in Turkish as “APU-ELCHE” (“APA İLÇİ”) meaning “from Fatherland”; and additionally, “APAİLCHE” meaning “in the language of Fatherland” - which refers to their language in Turkish. CHANGOS: Deciphered in Turkish as “GONASCH” (“KÜNEŞÇE”) (GÜNEŞ DİLİNDE) meaning “in the sun language”; and also “KÜNEŞCİ” meaning “sun believing people”. ATACAMENOS: Deciphered in Turkish as “ATA KUMANIZ” meaning “we are the father Kuman people, we are the Kipçak Turks”. DIAGUITES: Deciphered in Turkish as “DAĞCIDI O” meaning “he is mountain man”. CHOROY TRAIGUEN (TSESUNGUN): Deciphered in Turkish as “GUNHA-TORC-ER-OYI” (“GÜNHAN TÜRK ER ÖYİ”, GÜNHAN TÜRKMAN ÖYİ) meaning “the home of the Günhan Turkman”. a) Deciphered in Turkish as “AL ALEVCÜ” meaning “the follower of the Red Flame; the Red Sun believer; the Red Sun Worshipping Turanian”. b) Deciphered in Turkish as “ALACALU EV” meaning “from the spotted home”. c) Deciphered in Turkish as “HALKALU EV” meaning “Home with chained links (of islands)”. a) Deciphered in Turkish as “HALKALU ÖYÜ” meaning “the Halkalu Country” or “Home of the chained islands”. b) Deciphered in Turkish as “HALKALU-UY-PU” (“HALKALU ÖY BEYÜ”) meaning “Lord from village of HALKALU” (Lord from the home of chained Islands). c) Deciphered in Turkish as “BALUKLU-ÖYİ” meaning “home with fish”, or, the fishing village. a) Deciphered in Turkish as “SAKA ER KÖYİ” meaning “The village of Saka soldier, the village of Saka man”. b) Deciphered in Turkish as “ASKAR-KÖYİ” (ASKER-KÖYİ) meaning “The village of soldiers”. c) Deciphered in Turkish as “SU AĞA-ER KÖYİ” meaning “Village of the Lord-Sea-Soldier”. In view of all these findings and revelations about the South American so-called MAPUCHE natives, including the Incas and the Inca Empire citizens of Aymaras and even the Pasquennes of the so-called “Easter Island”, we can say with confidence that most of the Native peoples of South America were ancient Turanian Tur/Turk/Oguz peoples! Contrary to denials, the Turanian SAKA Turks, so-called SCYTHIANS, and the GUNHAN Turkmans, so-called PHOENICIANS, have been in South America for thousands of years – although great effort has been spent by certain groups to cover up and obliterate this fact.